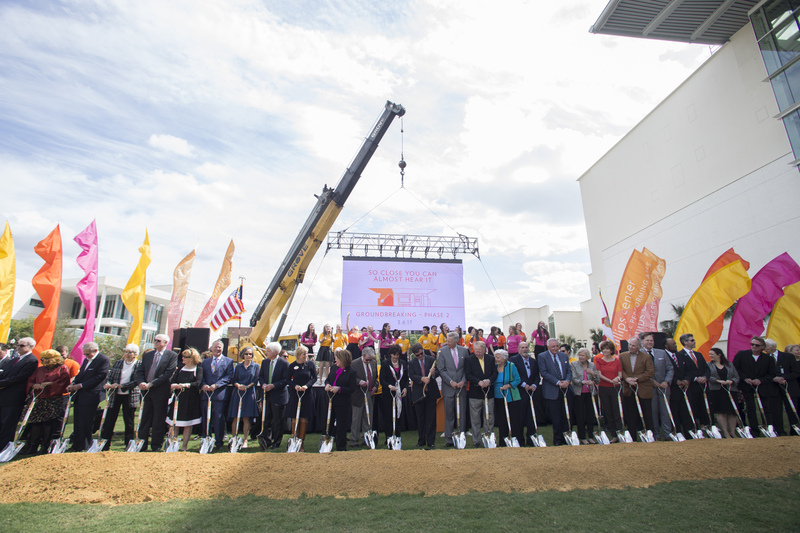 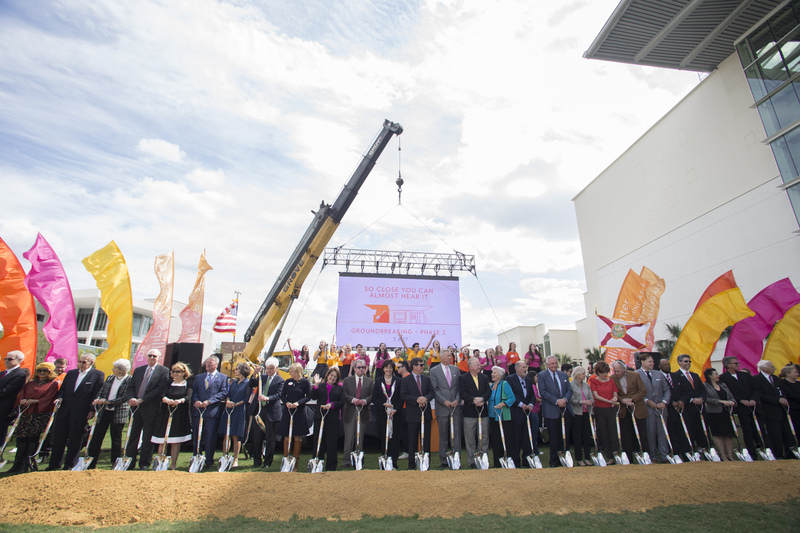 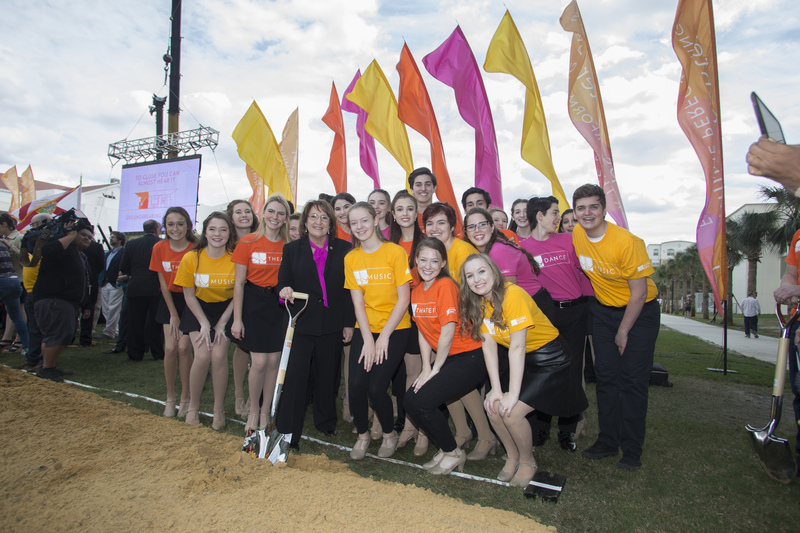 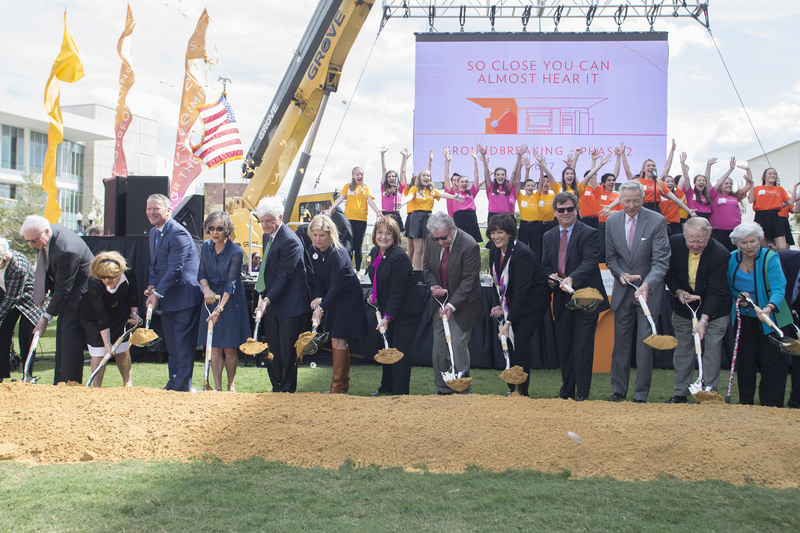 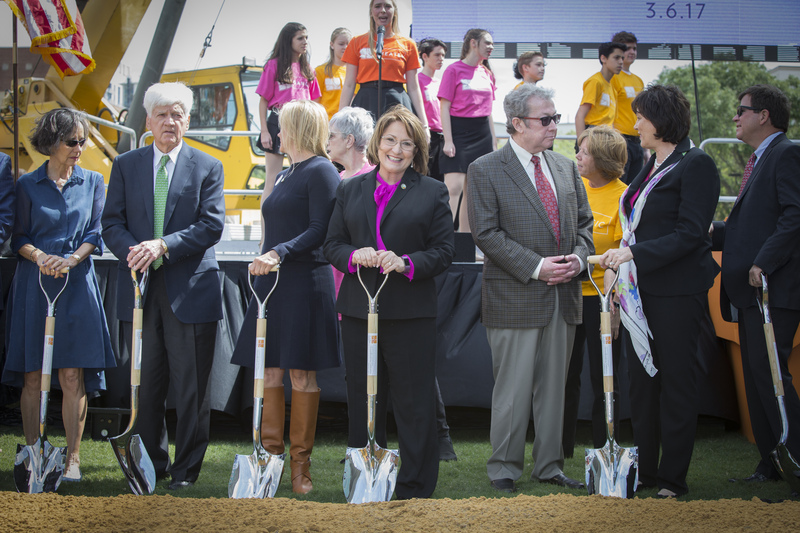 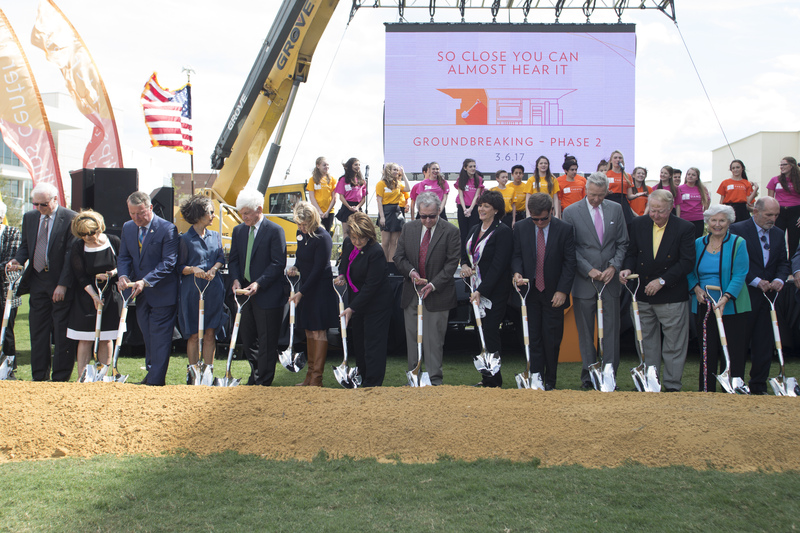 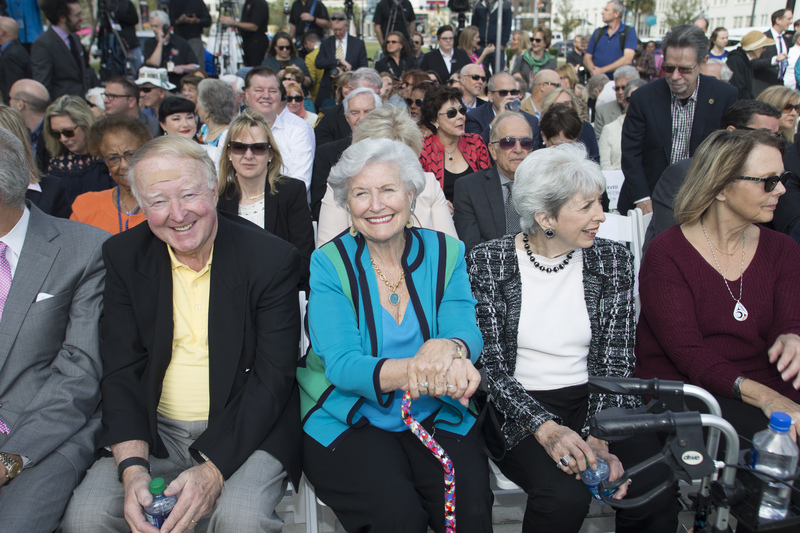 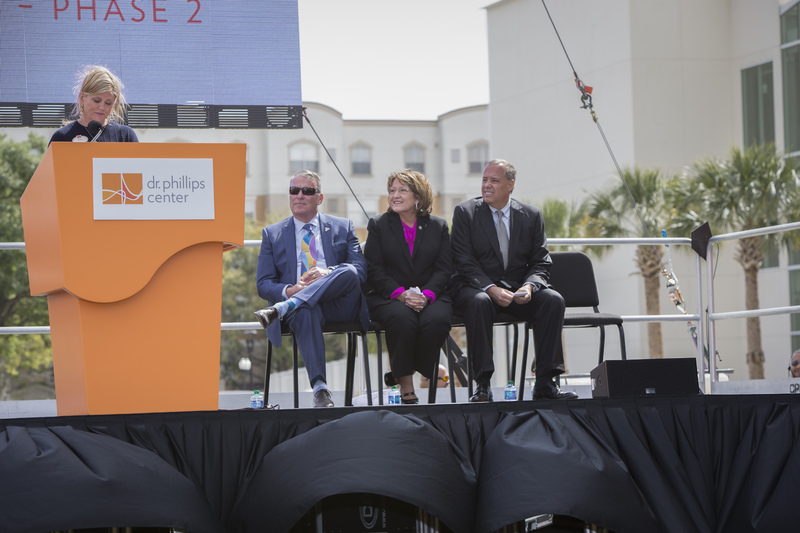 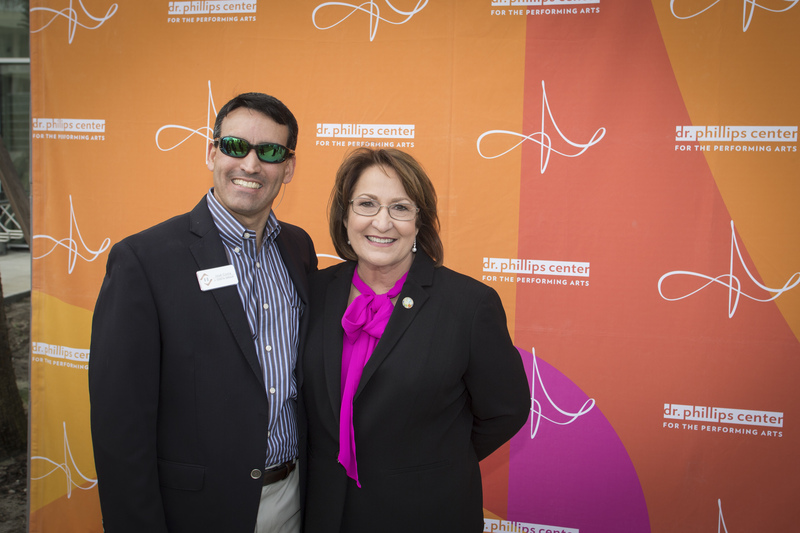 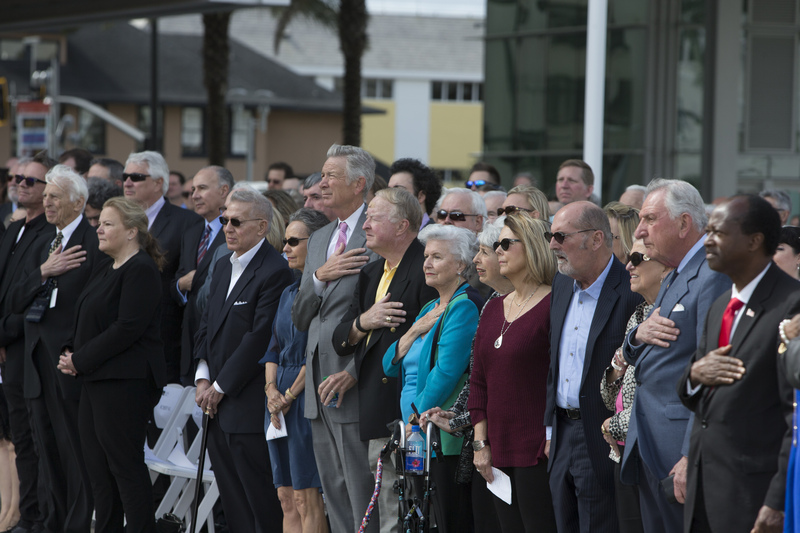 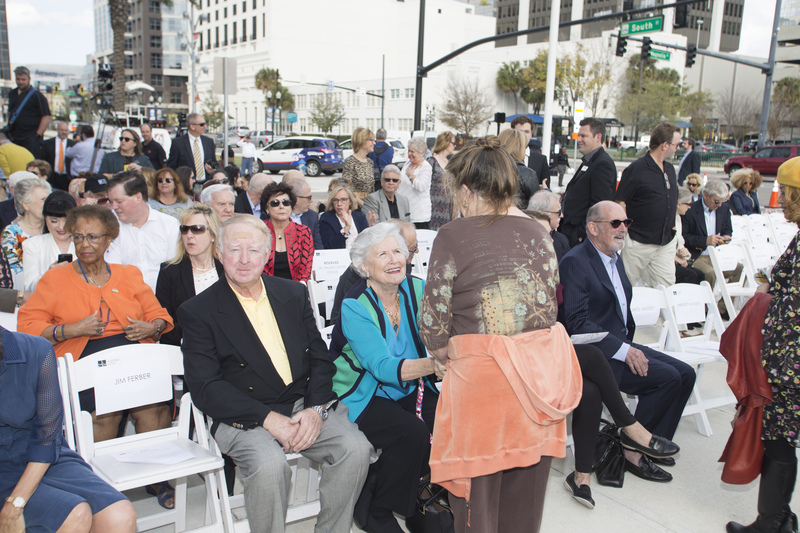 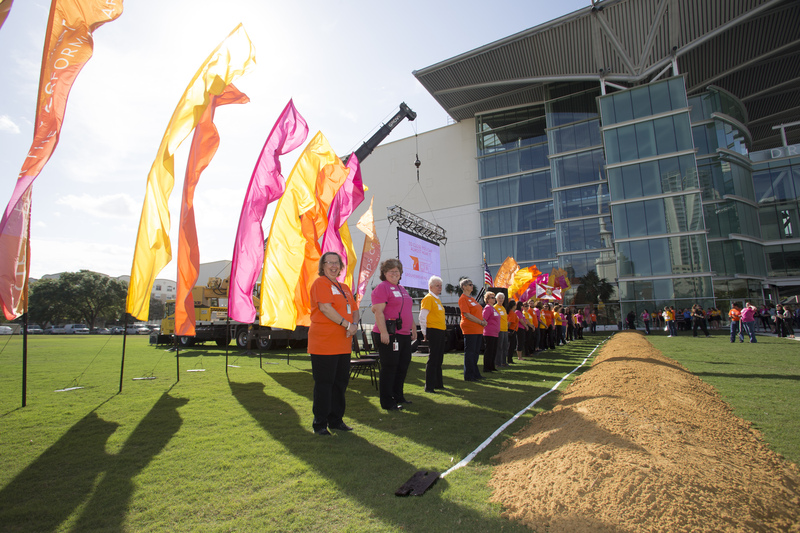 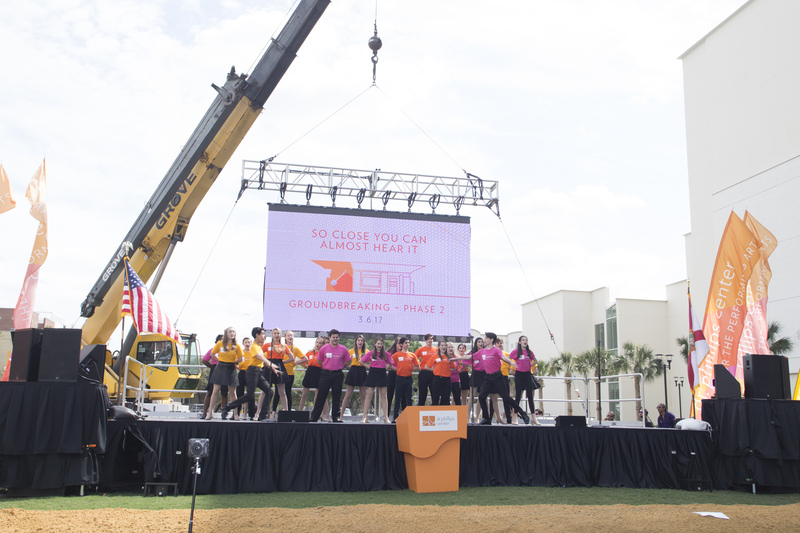 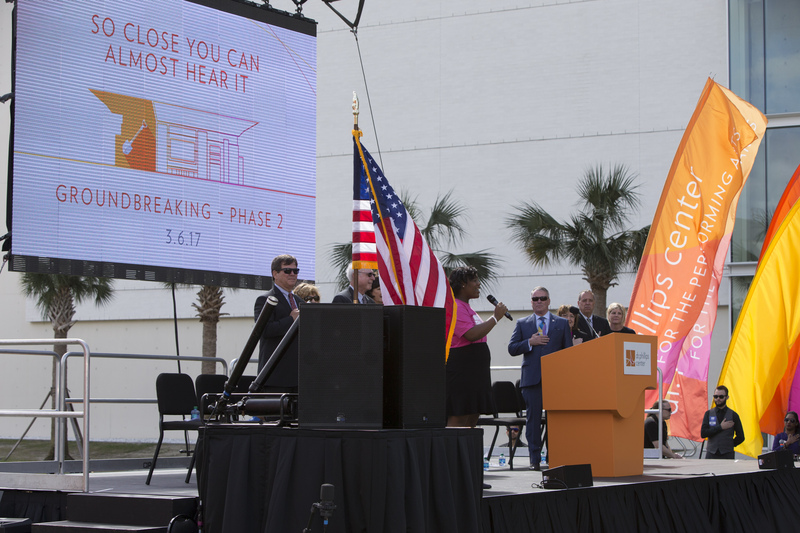 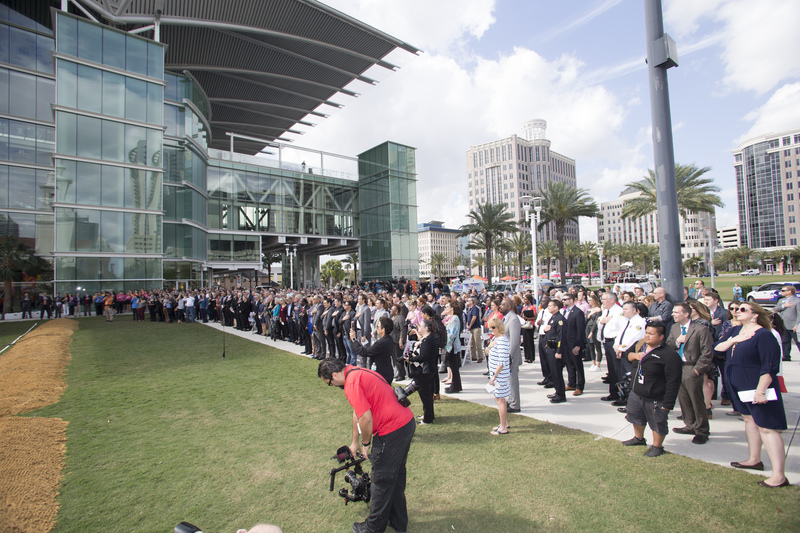 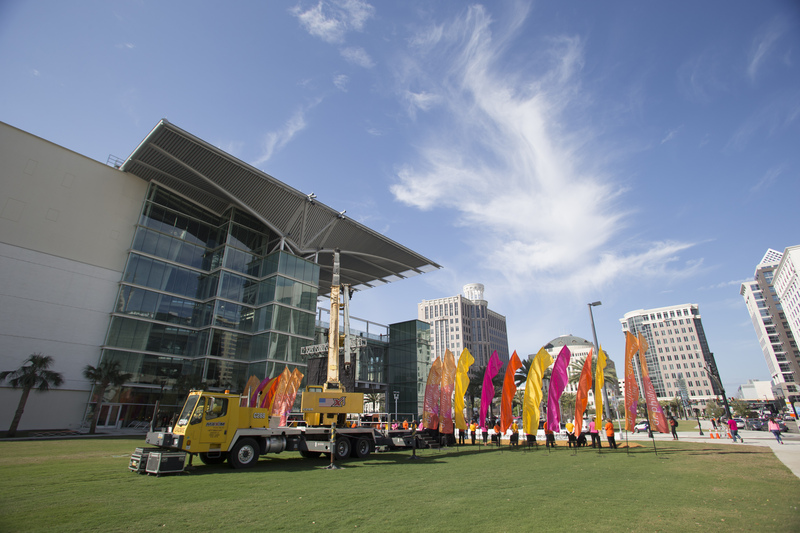 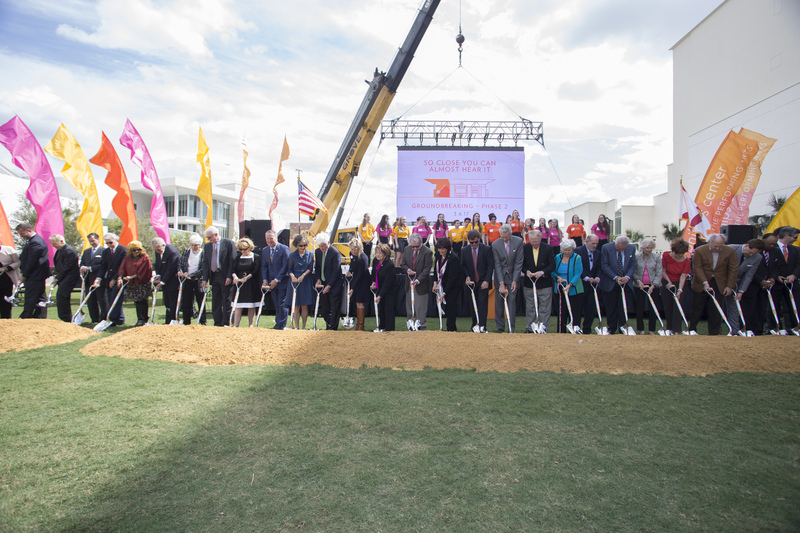 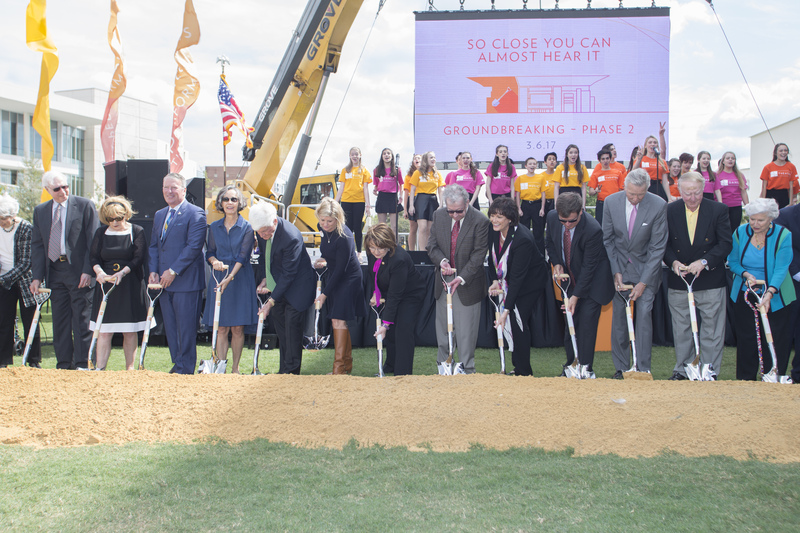 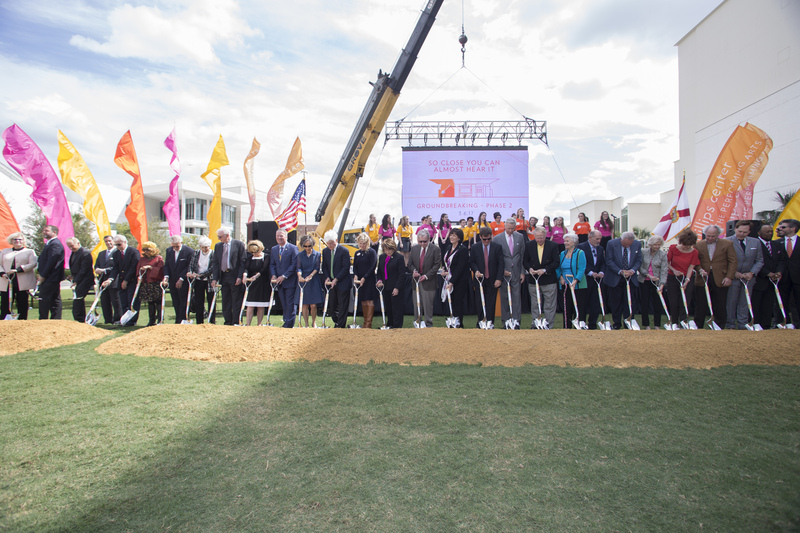 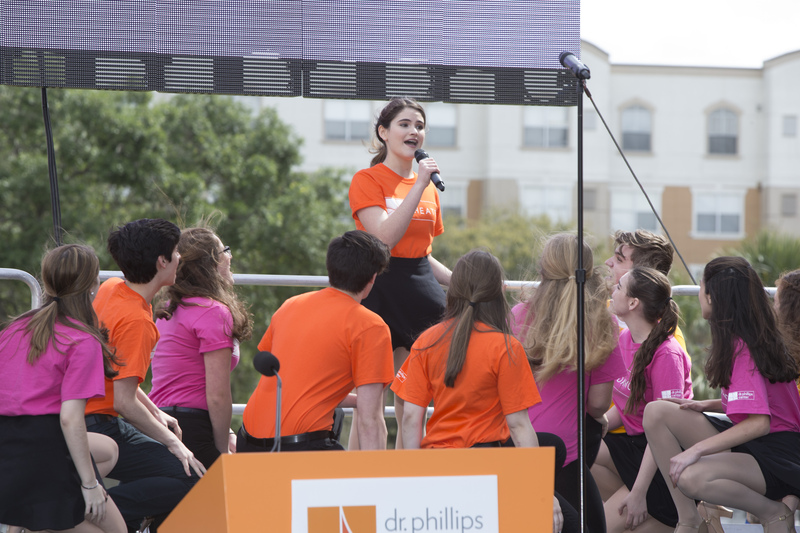 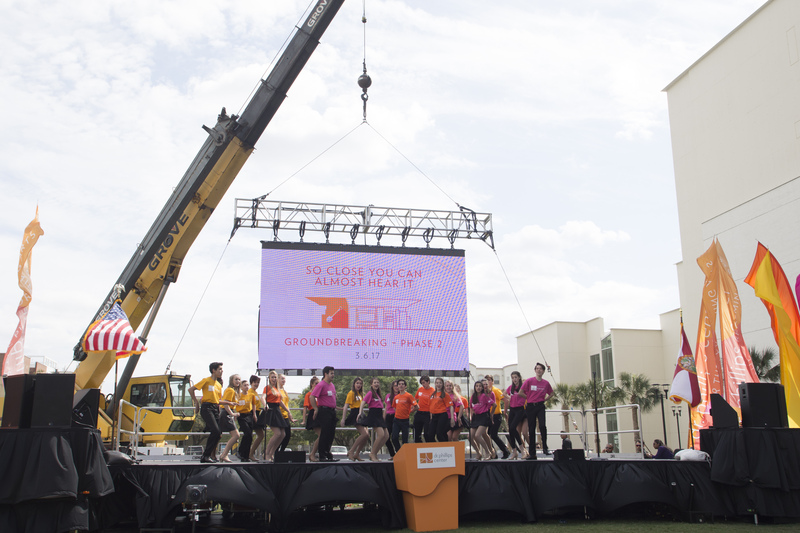 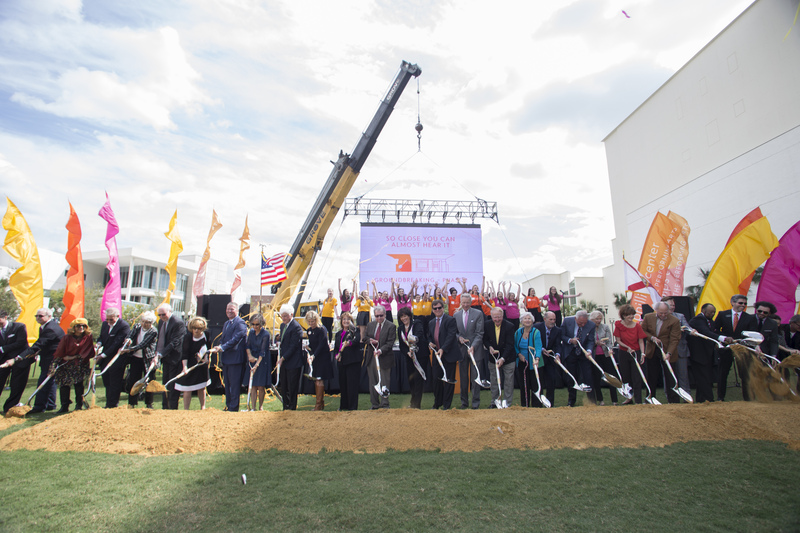 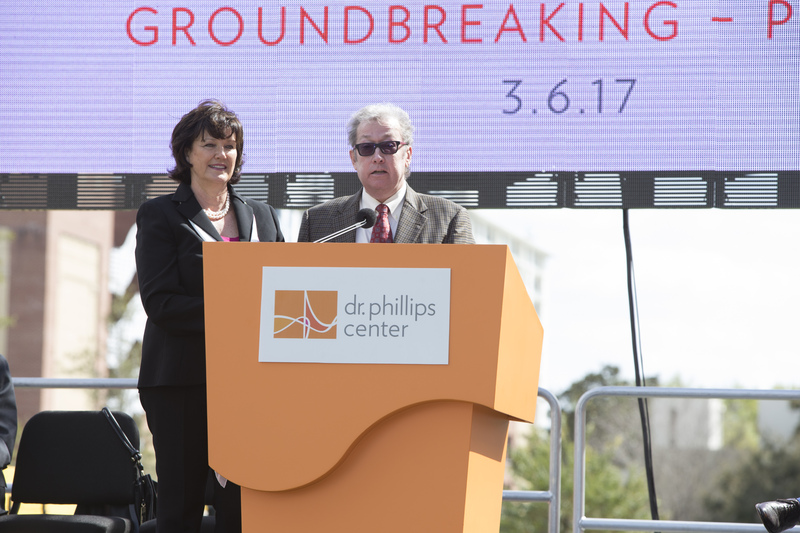 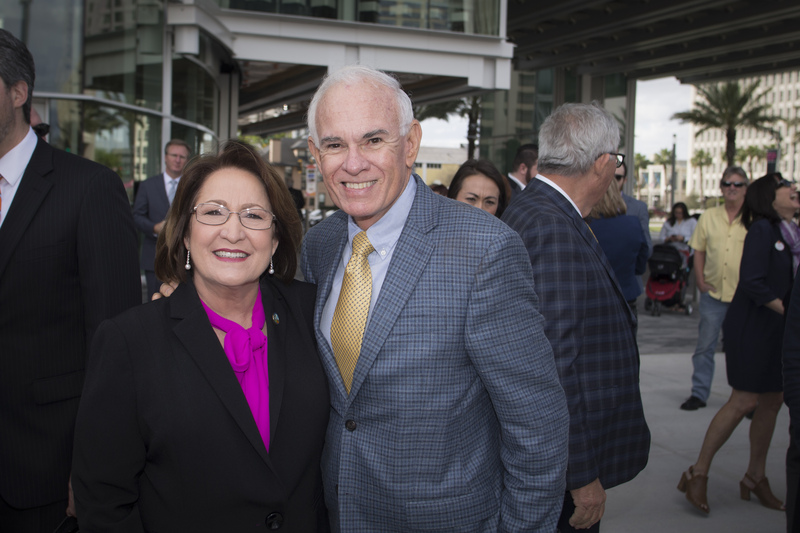 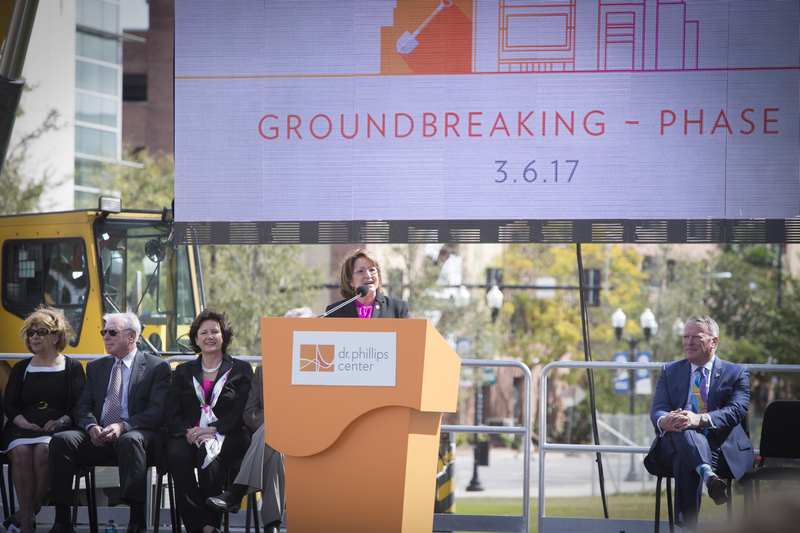 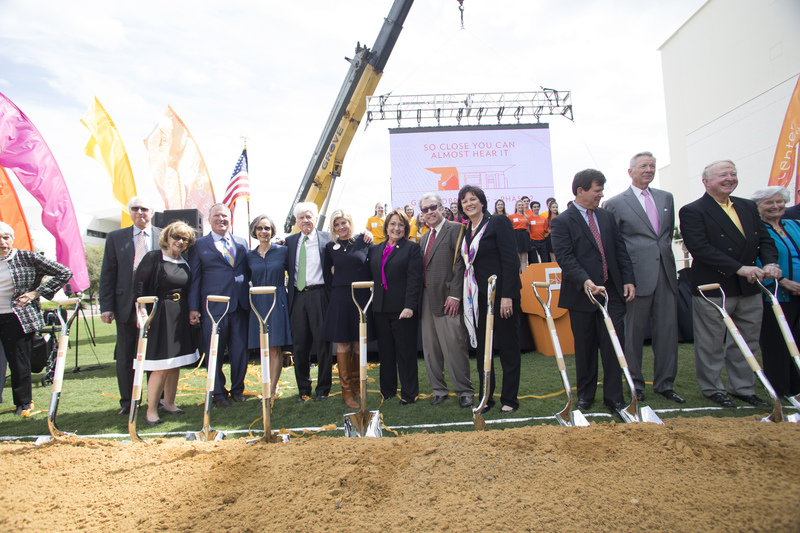 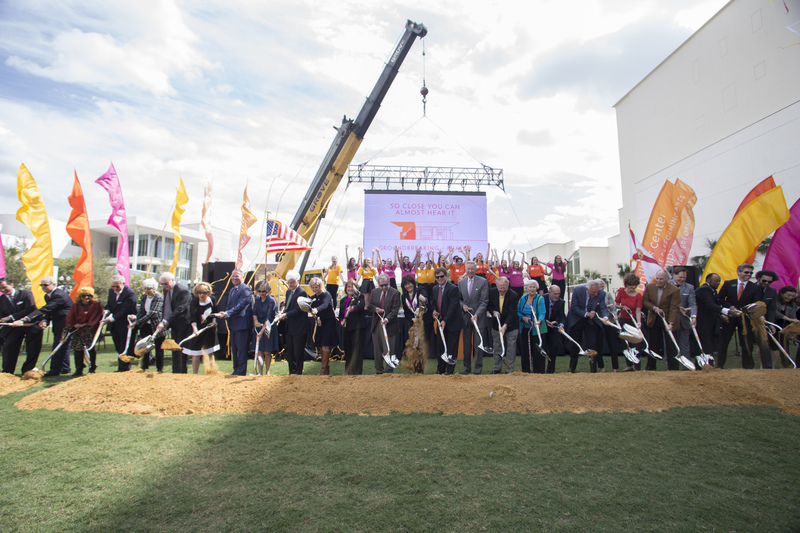 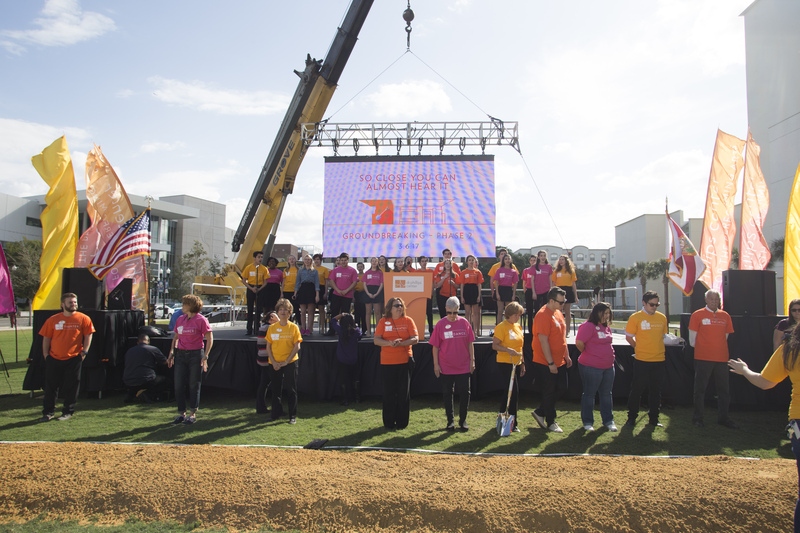 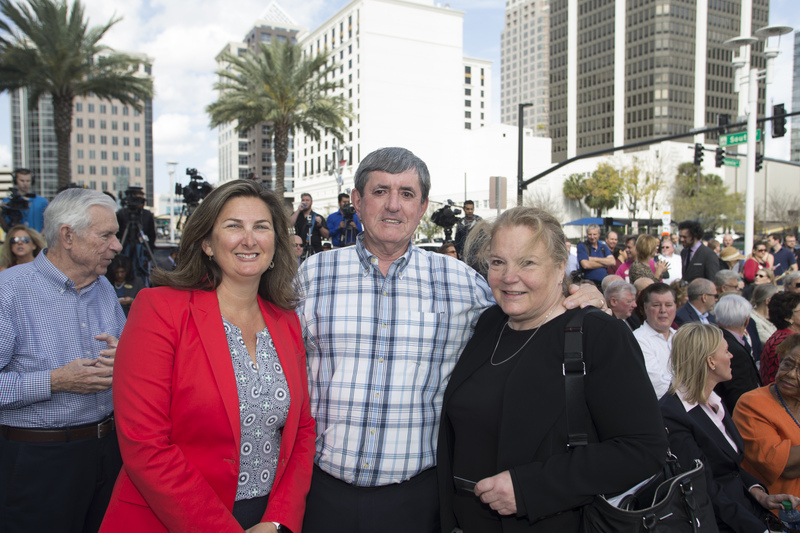 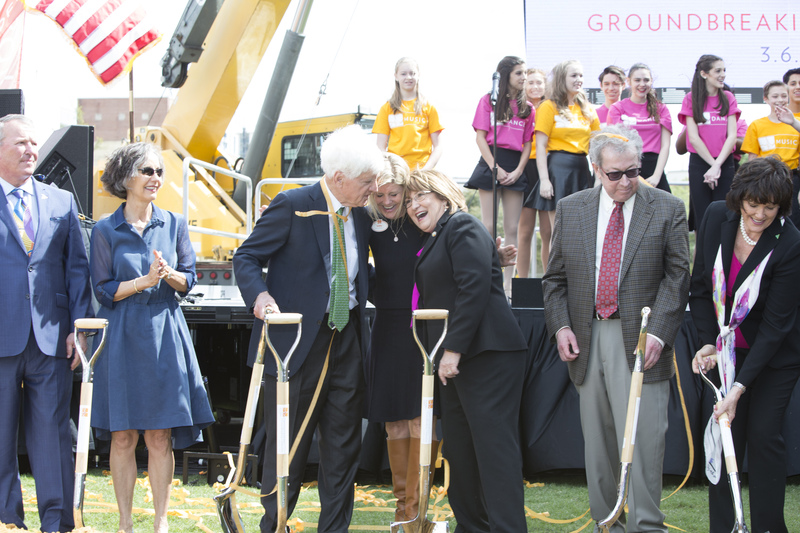 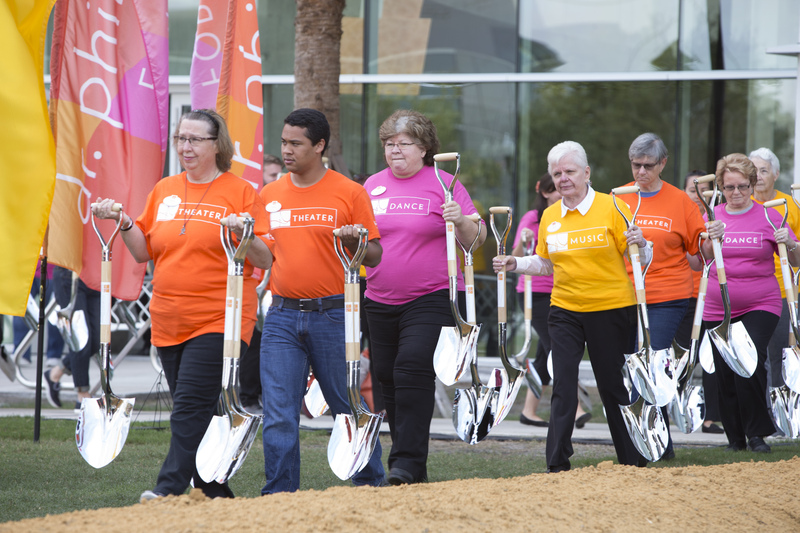 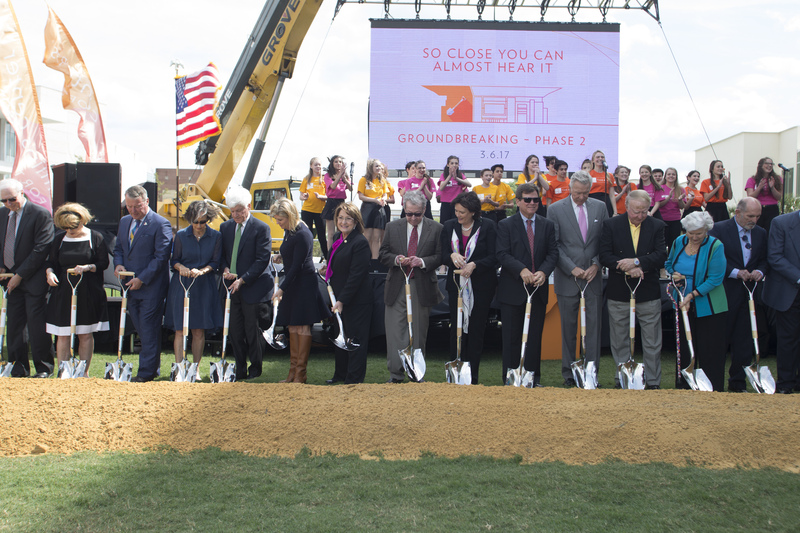 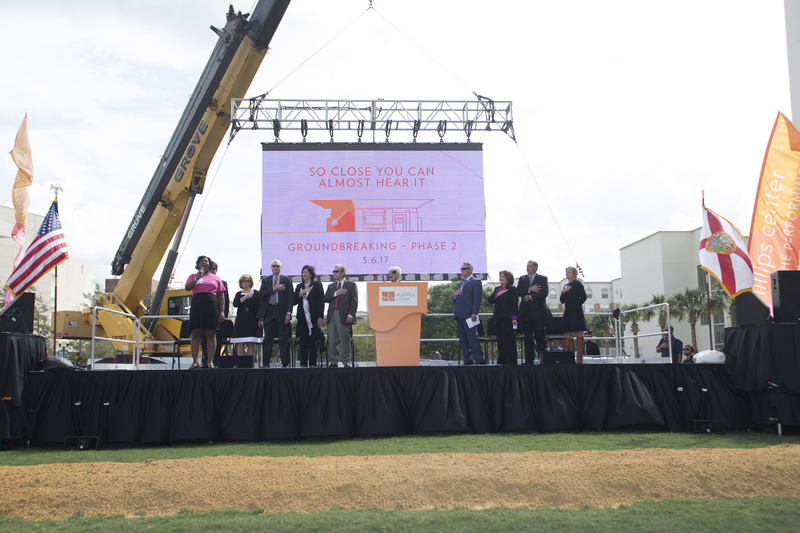 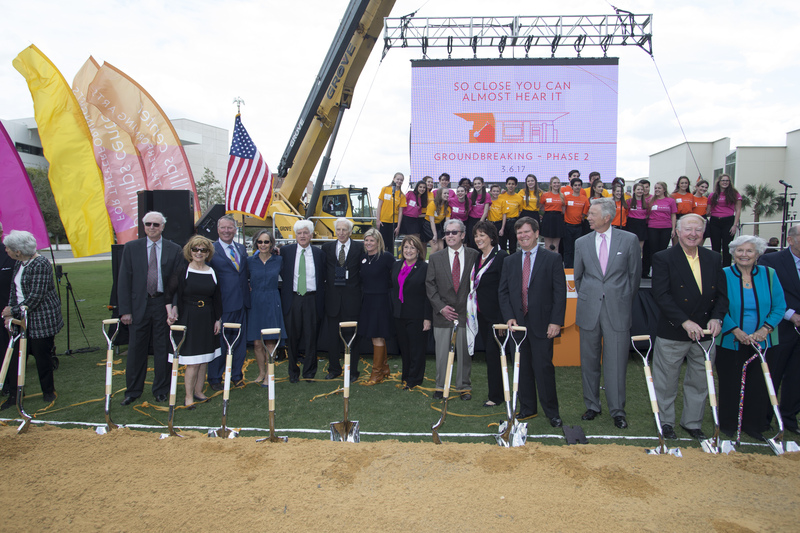 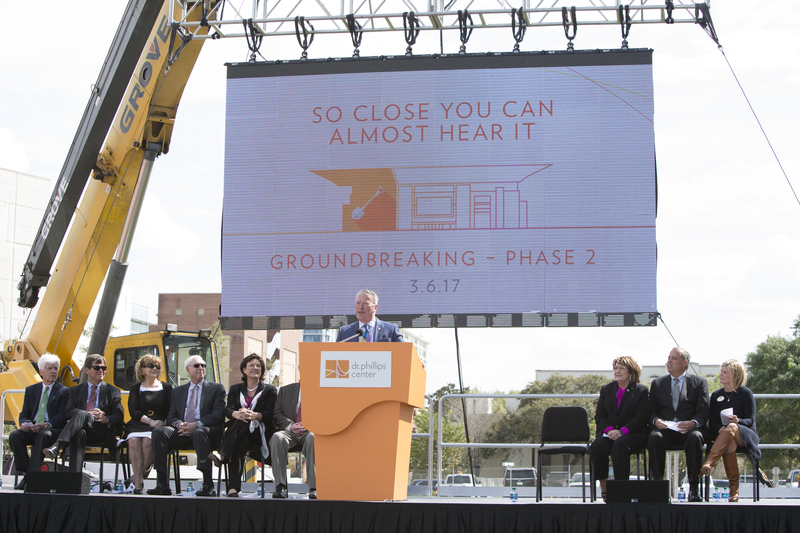 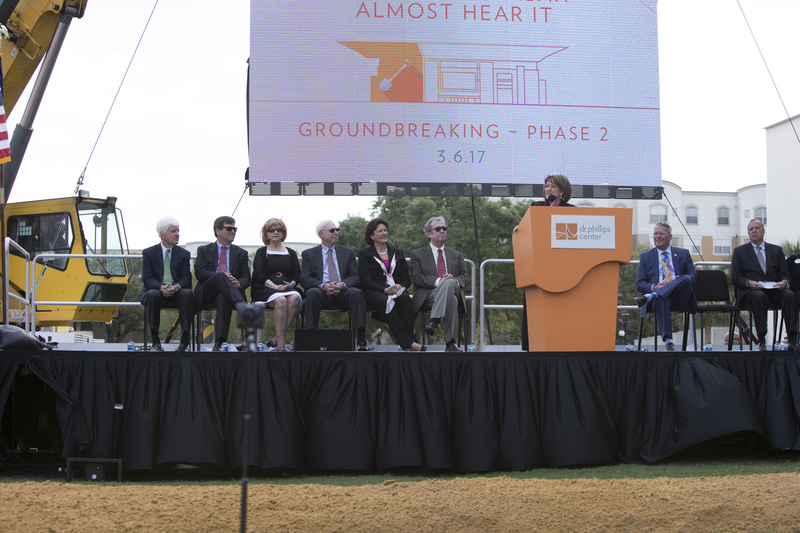 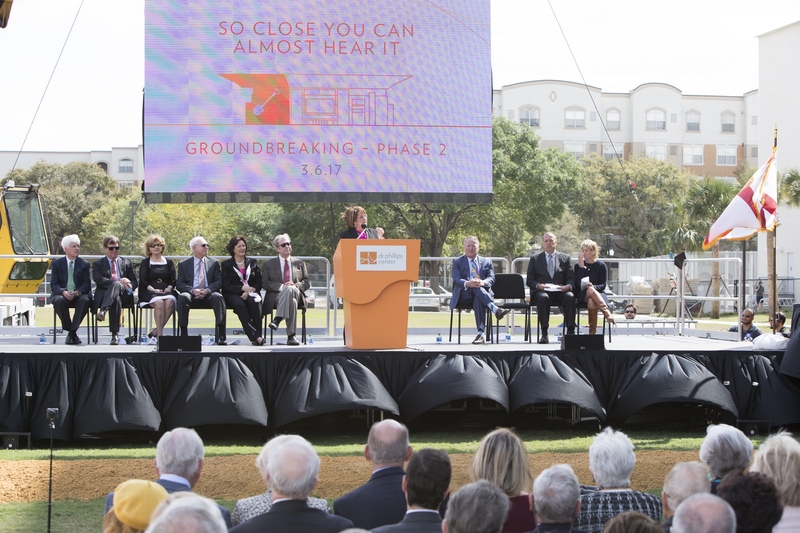 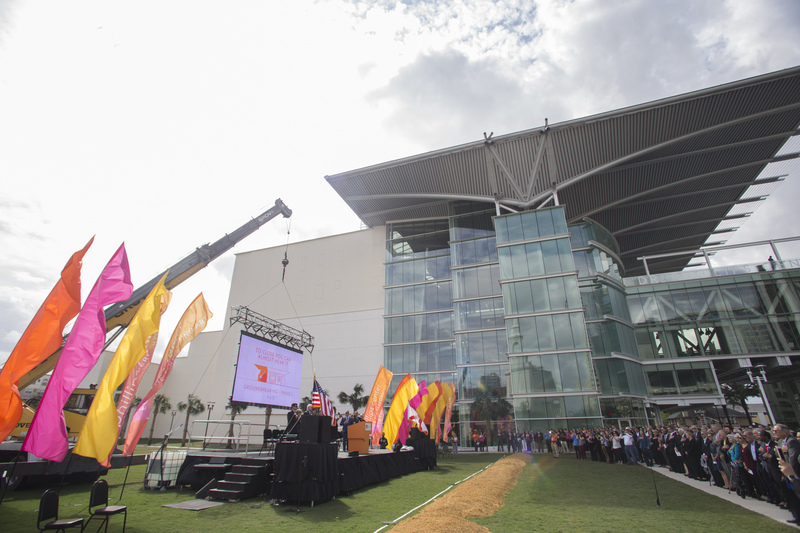 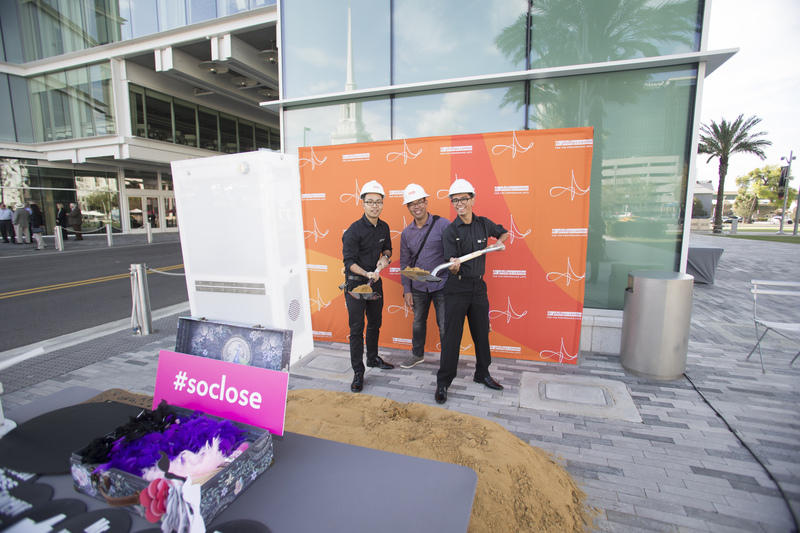 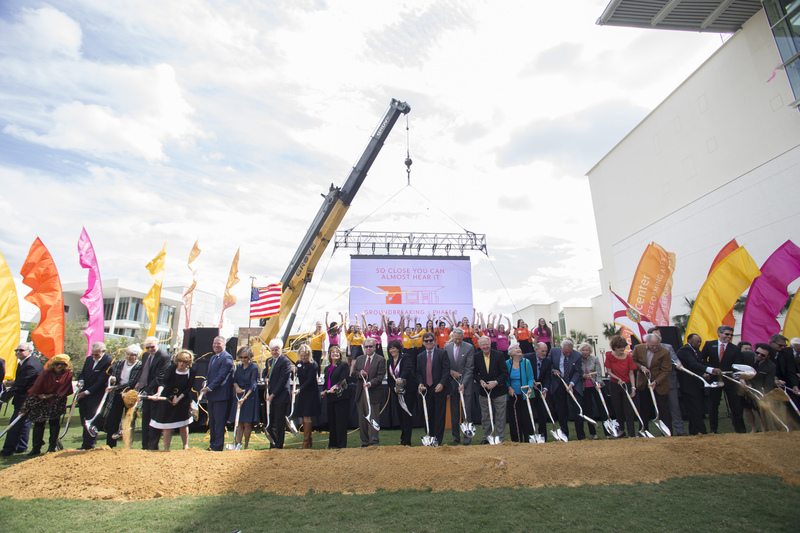 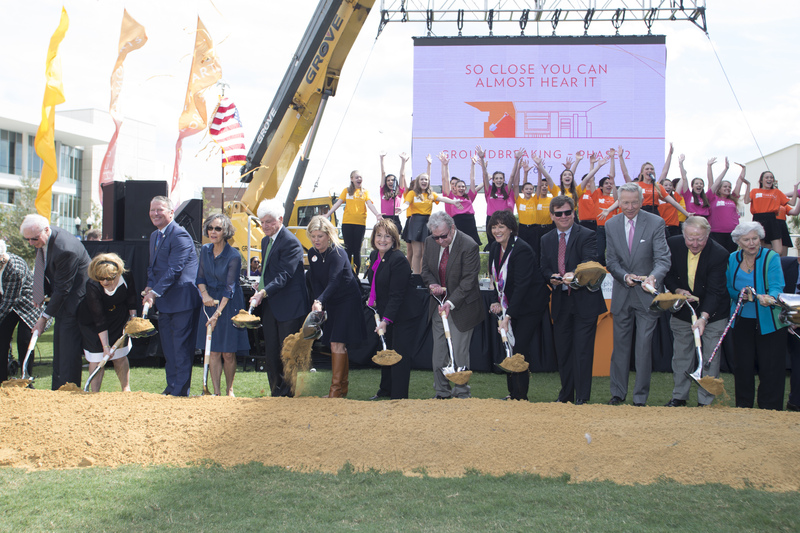 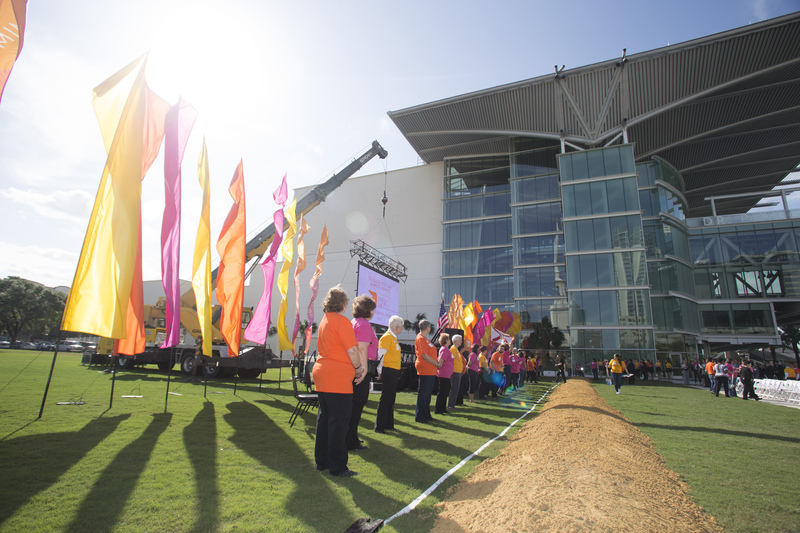 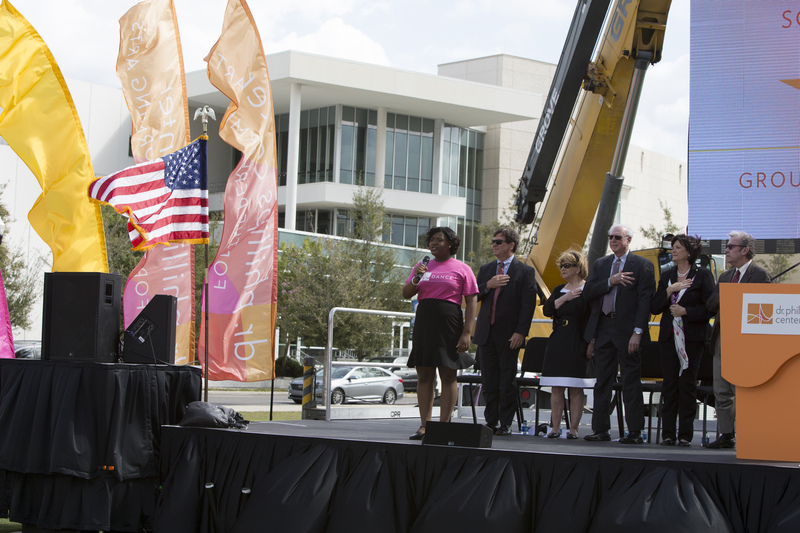 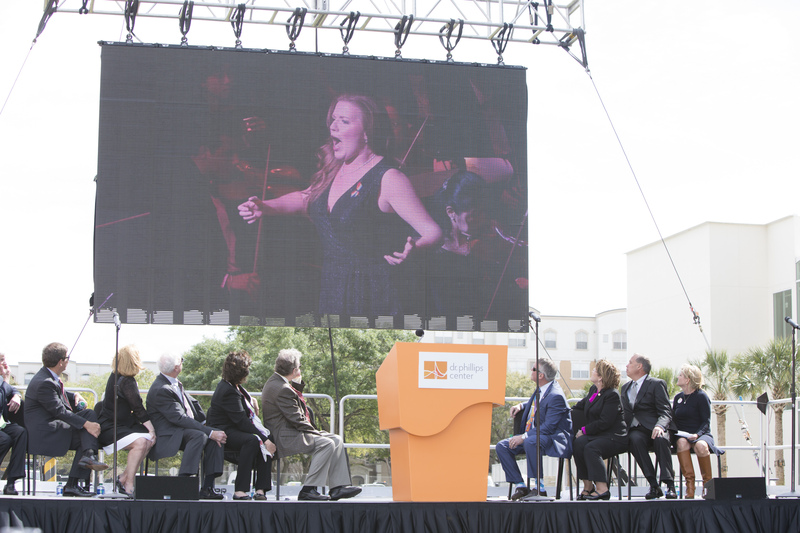 Orange County Mayor Teresa Jacobs joined community leaders at the spectacular Dr. Phillips Center for the Performing Arts (DPC) on Monday to celebrate the groundbreaking of the DPC’s historic Phase II construction. 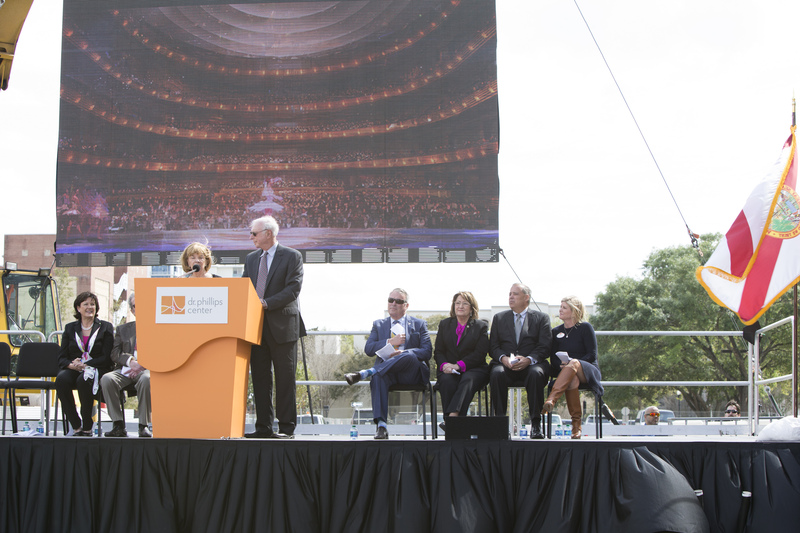 The announcement ushers in a new era for local performers with the addition of the Steinmetz Hall and the Green Room. 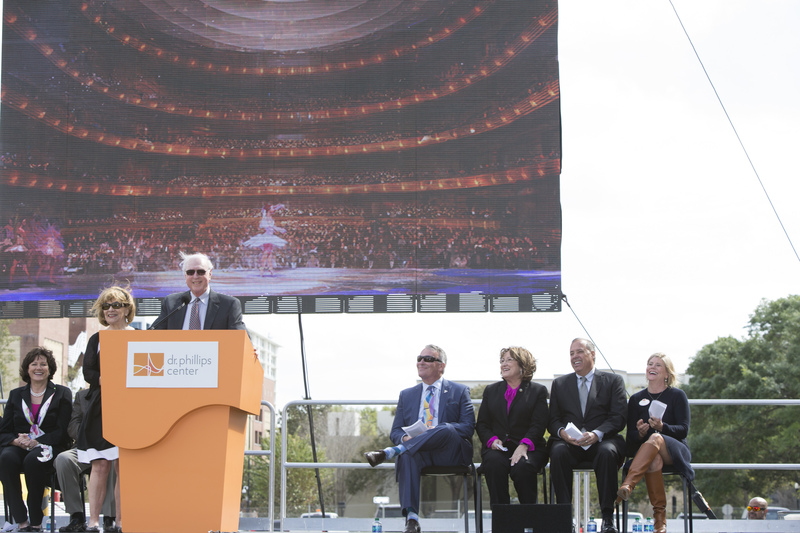 The Steinmetz Hall will be a 1,700-seat acoustical theater that will be the future home of the Orlando Ballet, Orlando Philharmonic Orchestra and Opera Orlando. 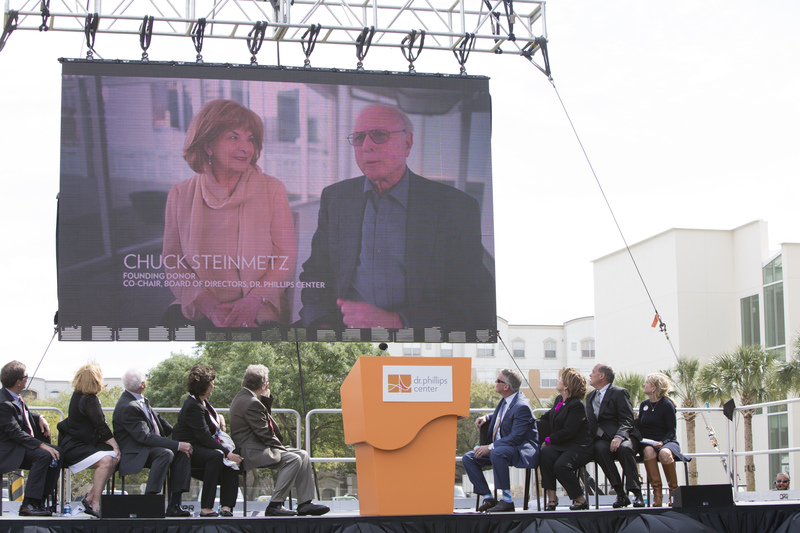 The hall is named after Chuck Steinmetz and Margery Pabst Steinmetz, two local philanthropists who committed $12 million toward the project in 2015. 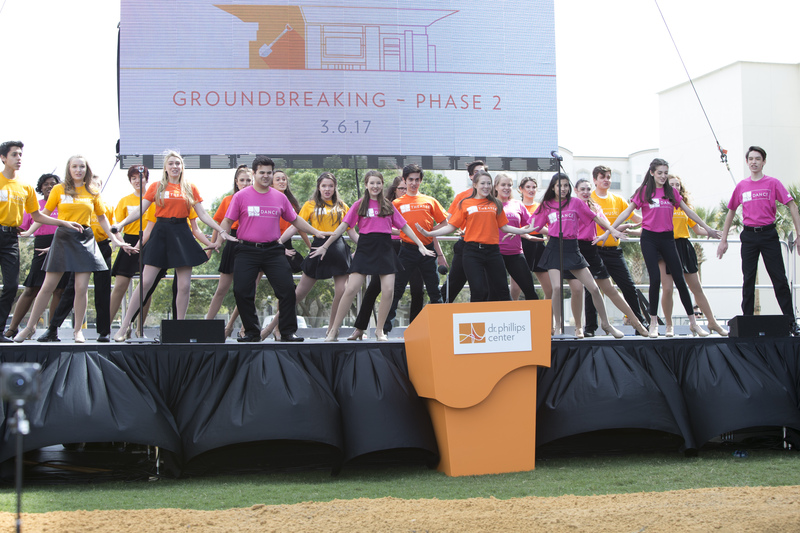 The Green Room will provide a large rehearsal room and performance space and there will be more lobby space at the Center. 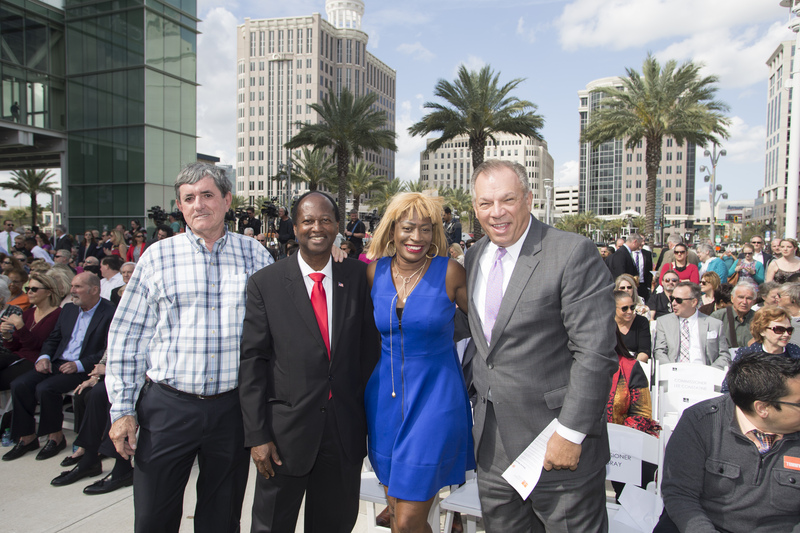 In September 2016, Mayor Jacobs sent a letter to the Board of County Commissioners (BCC) announcing her support for an additional $45 million of Tourist Development Tax (TDT) funding to complete the second and final stage of the DPC and to establish a sports bid fund in the initial amount of $5 million, with annual replenishment amounts of up to $2 million. 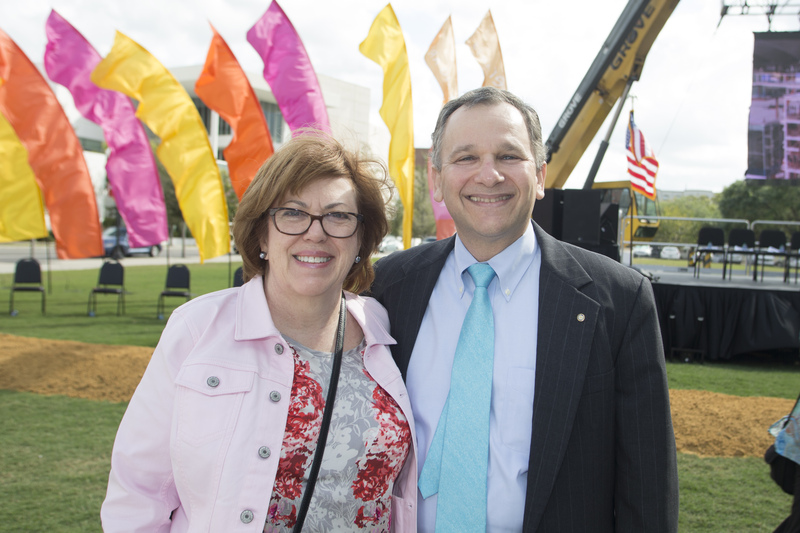 Mayor Jacobs also outlined an option the County has under the venues agreement to prepay the city’s contract TDT debt with County refunding debt, which would then free-up substantial TDT funding so that the BCC could consider other spending priorities. 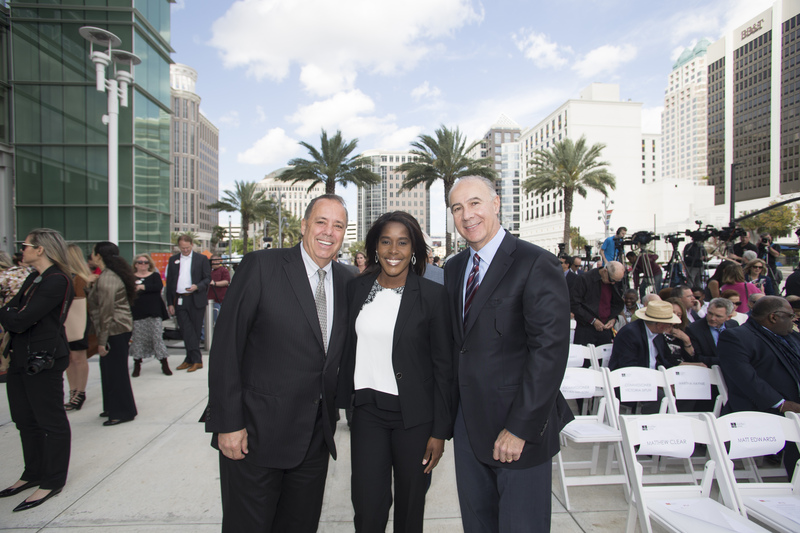 After receiving strong support for the Mayor’s TDT plan from the hospitality industry and the Tourist Development Council, the BCC unanimously approved this three-part proposal on November 1, 2016. 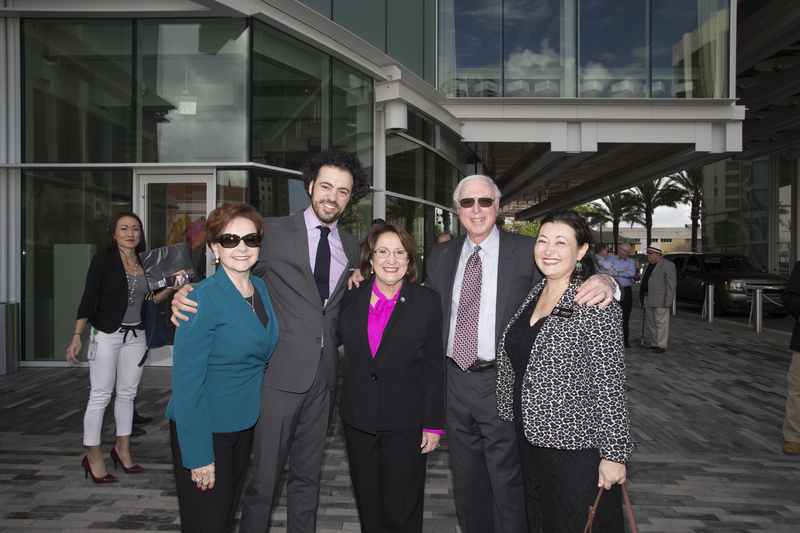 The approved plan is an efficient way to utilize TDT for the benefit of local residents and the community. 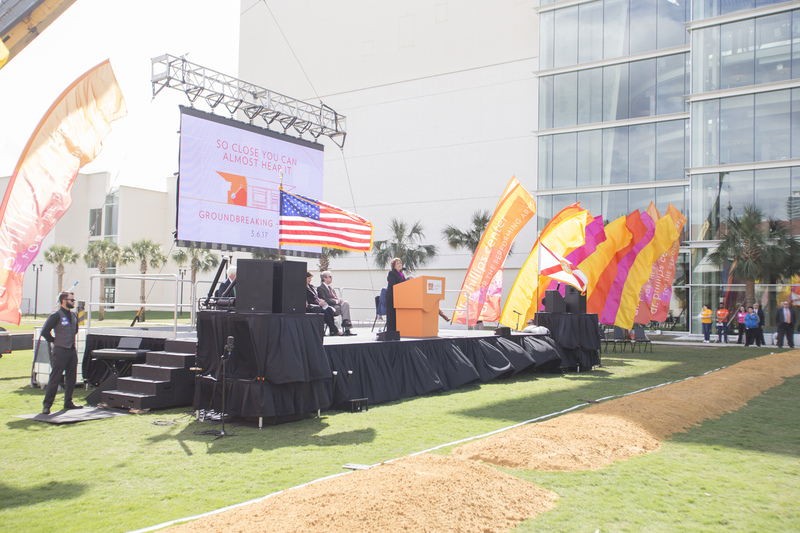 The TDT is a 6 percent tax on short-term lodging, such as hotel rooms. 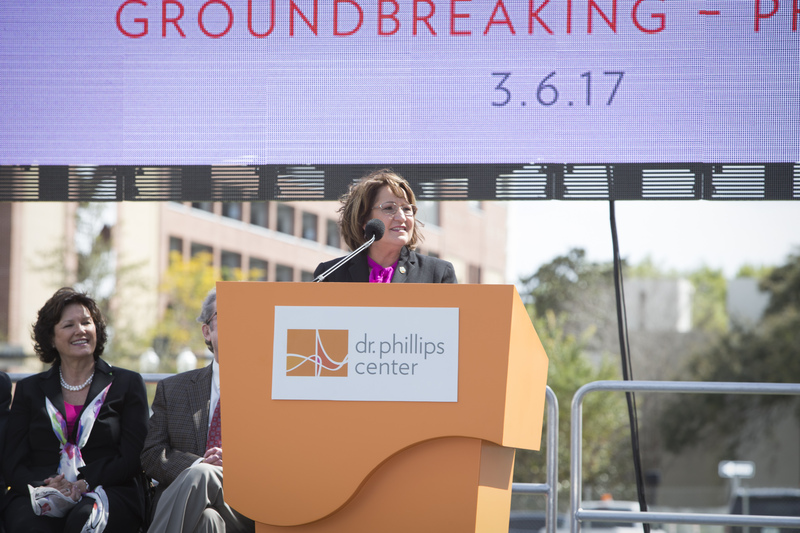 The additional $45 million in TDT funding for DPC allows for the completion of Phase II of the DPC, which has an expected grand opening of 2020. 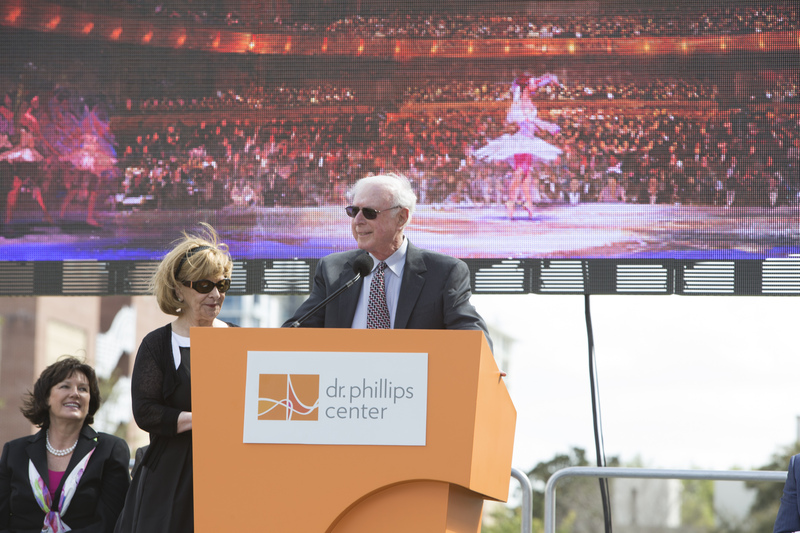 Since opening in late 2014, the DPC has become one of the most celebrated artistic centers in the nation. 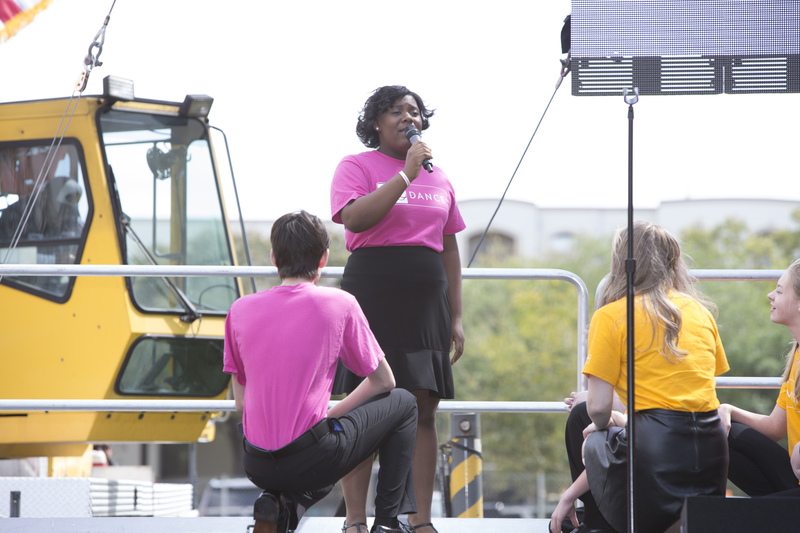 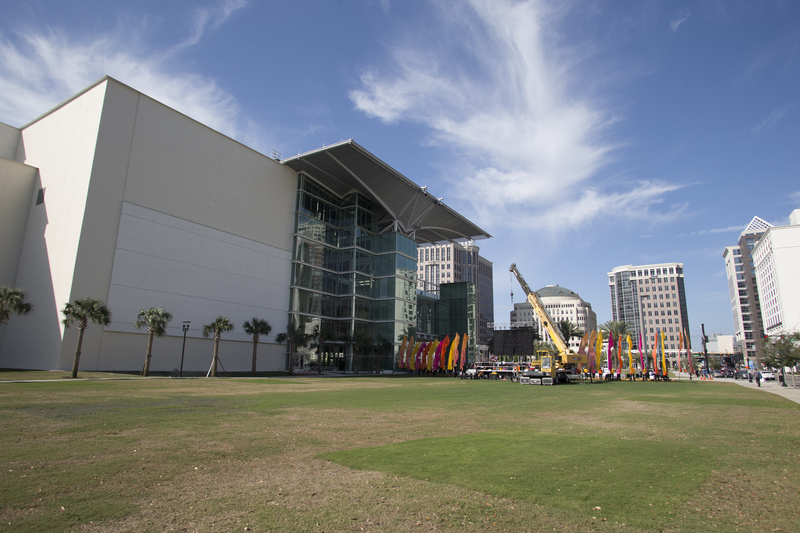 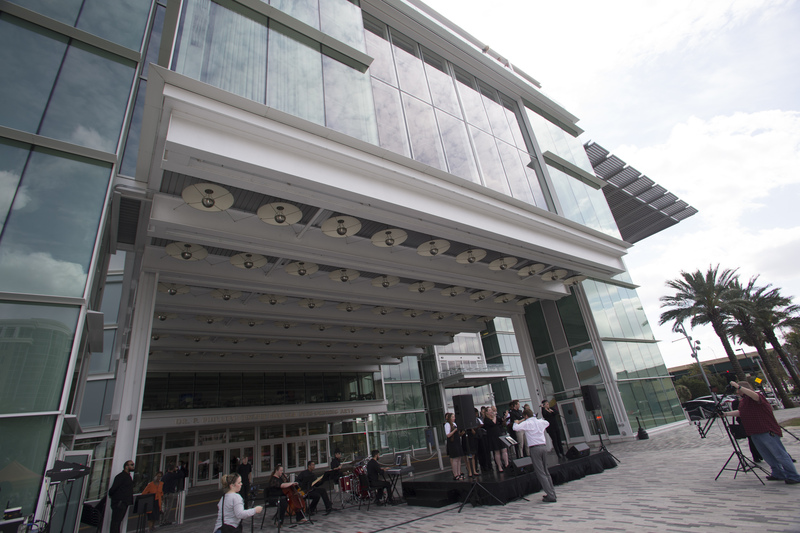 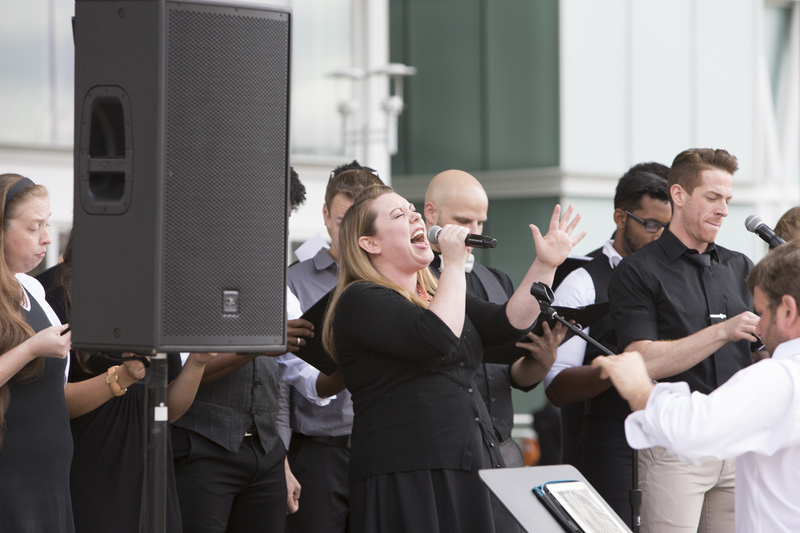 In 2007, the performing arts center was approved as one project, but due to the Great Recession and related funding challenges, it was ultimately split into two phases. 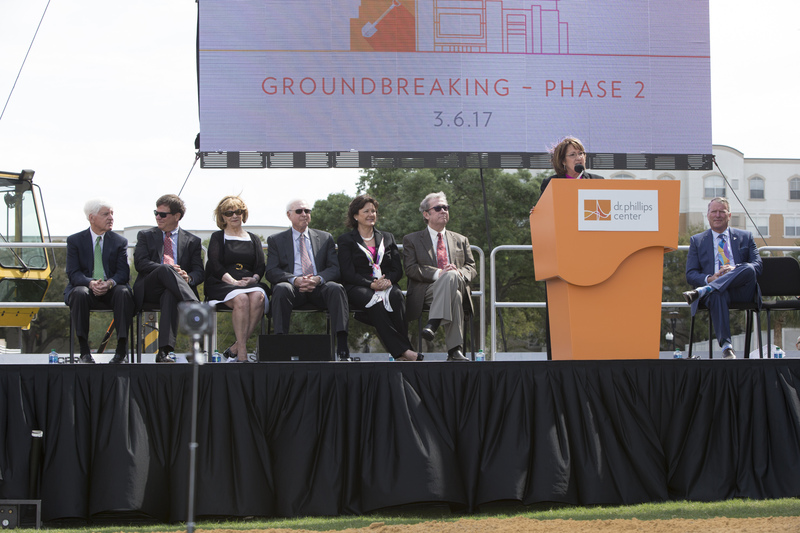 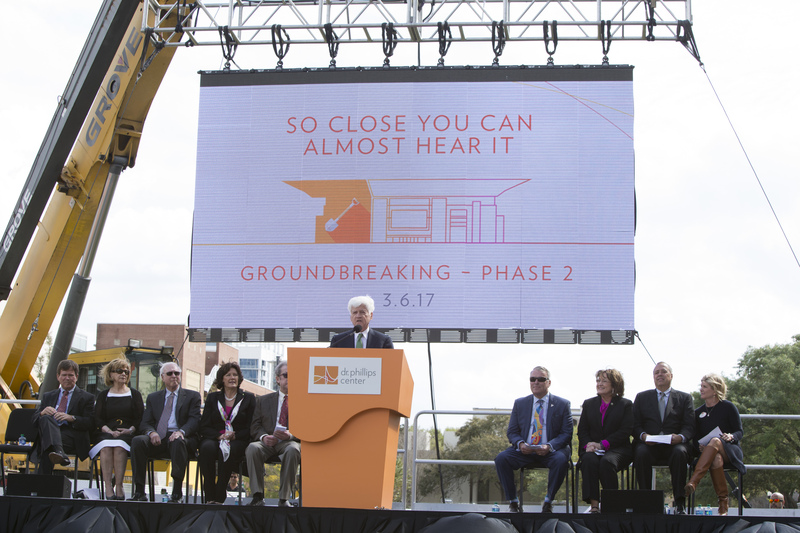 With the groundbreaking of Phase II – the final phase – the community moves forward with finishing the vision that was approved almost 10 years ago. 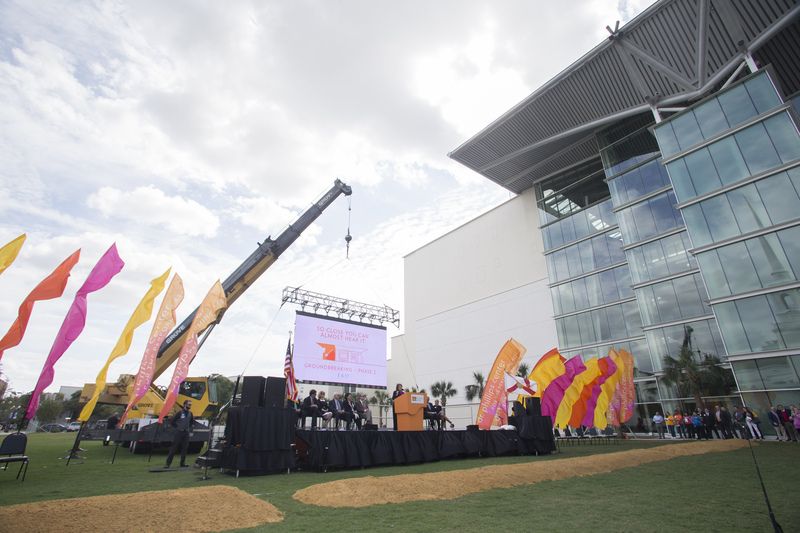 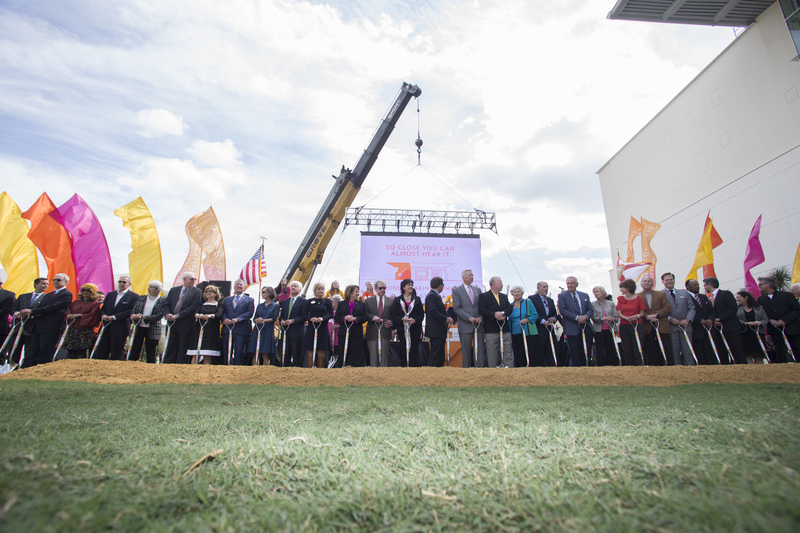 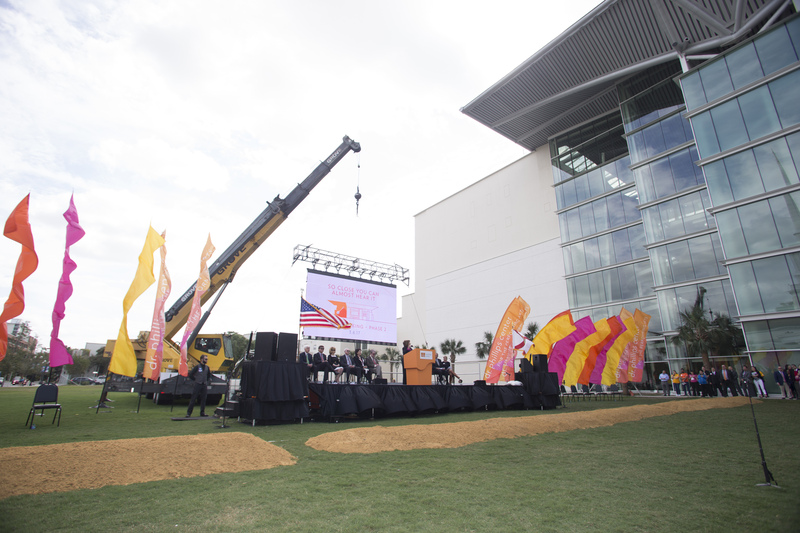 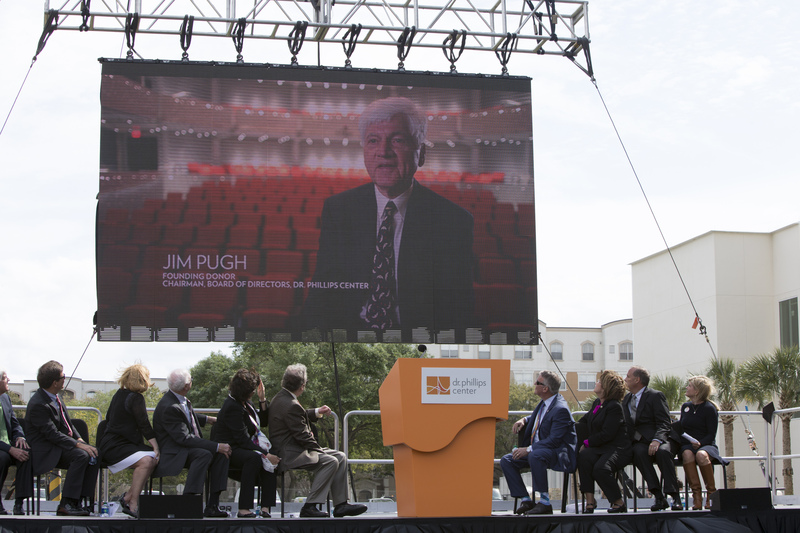 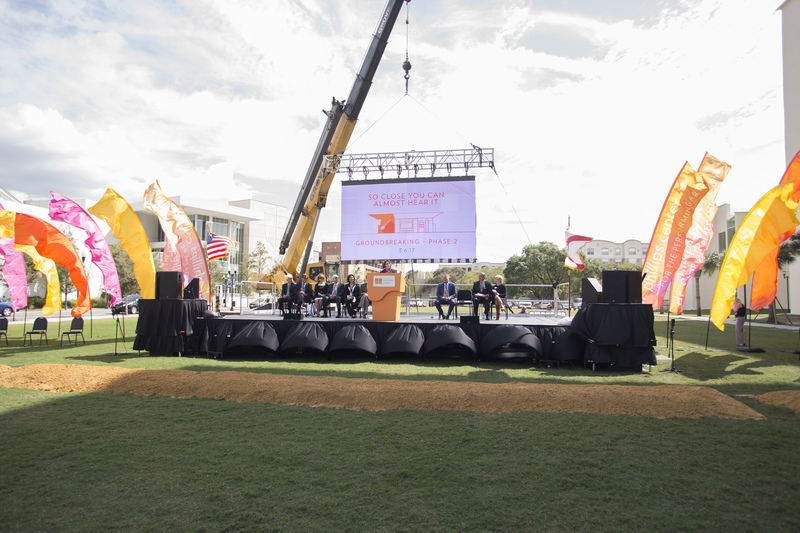 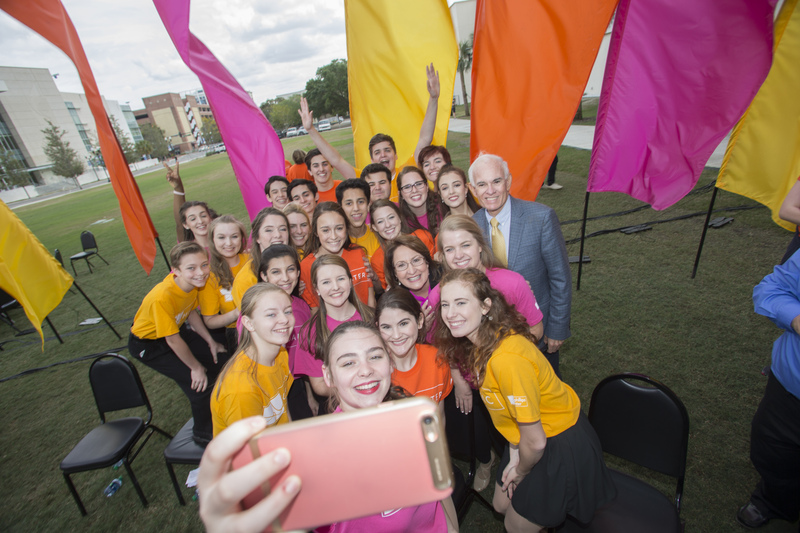 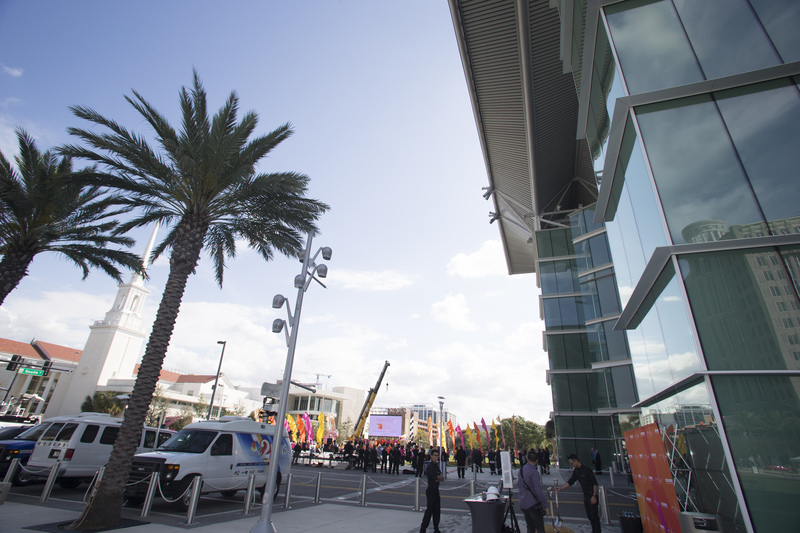 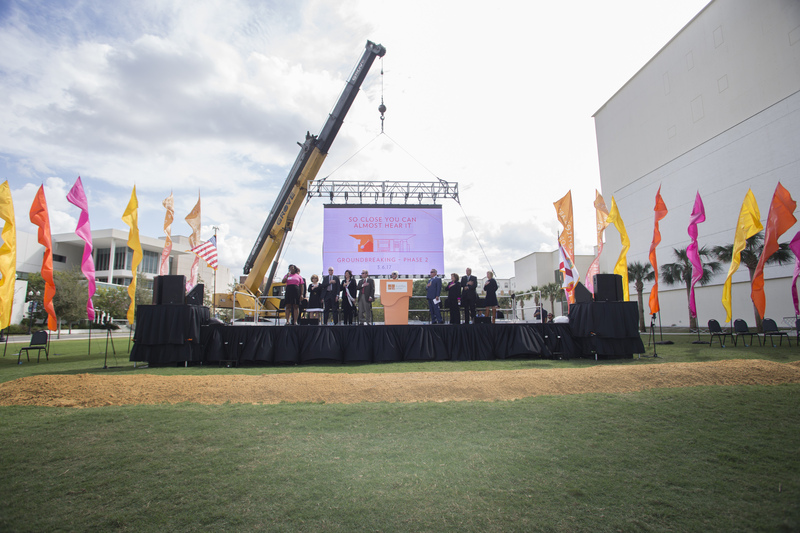 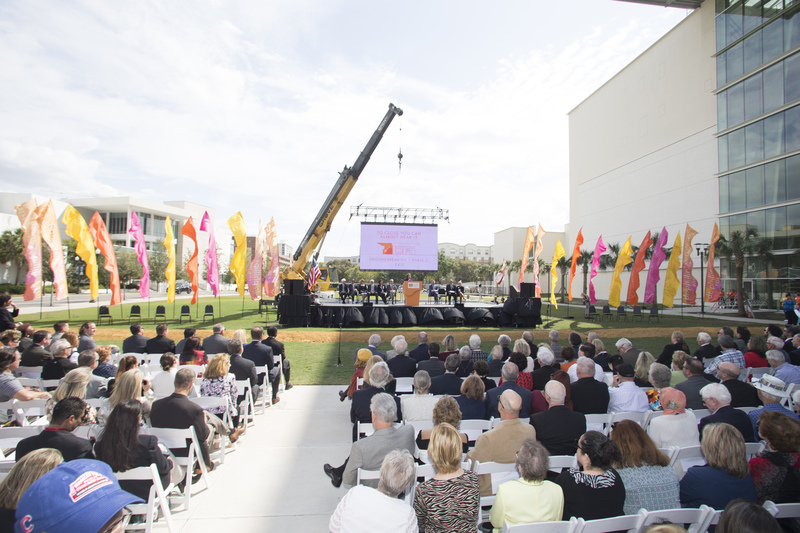 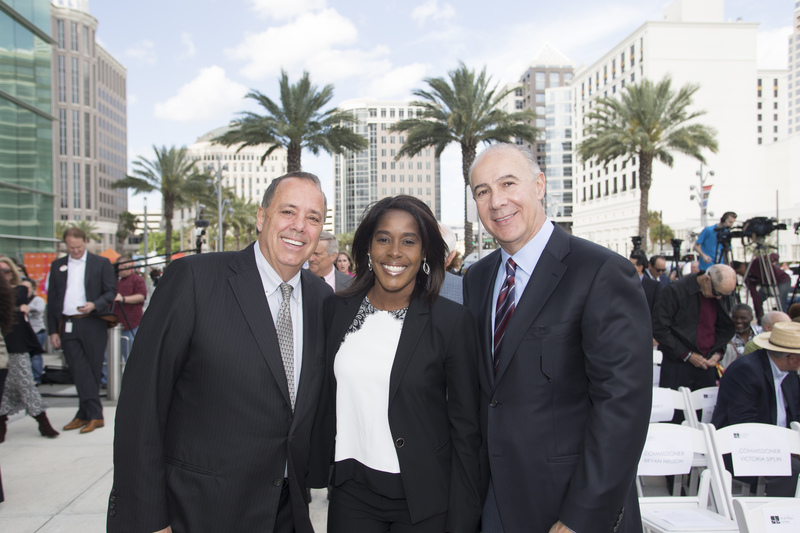 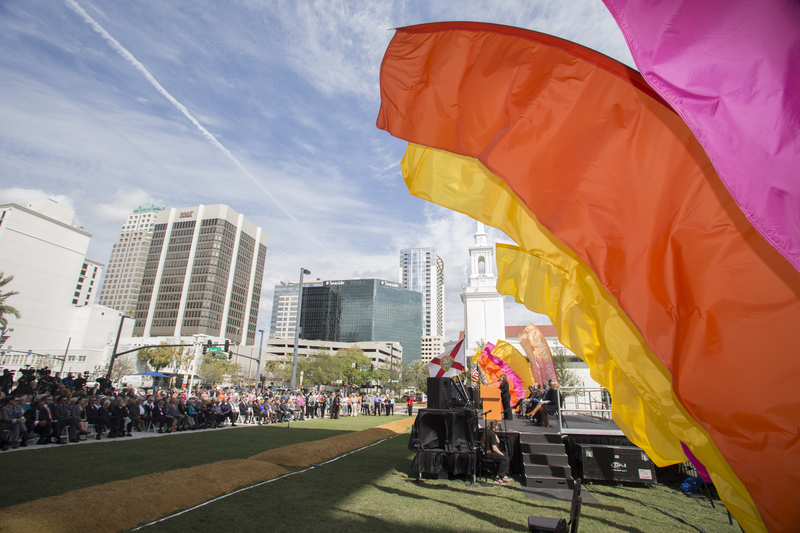 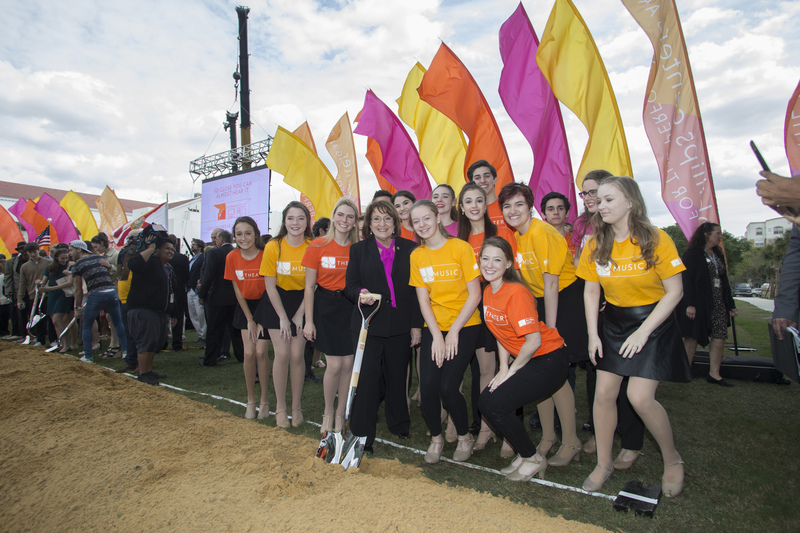 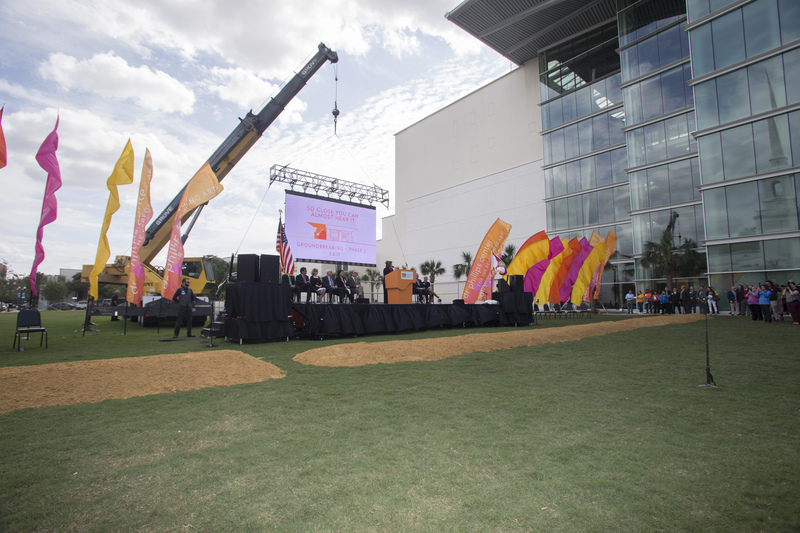 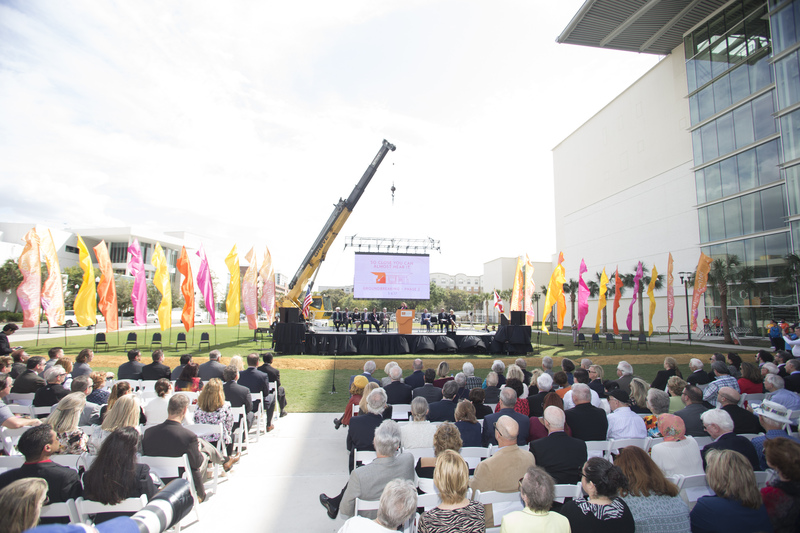 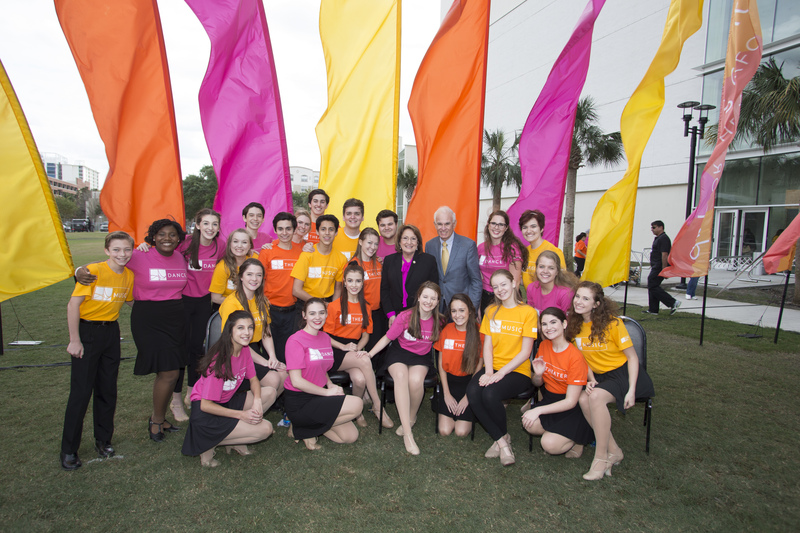 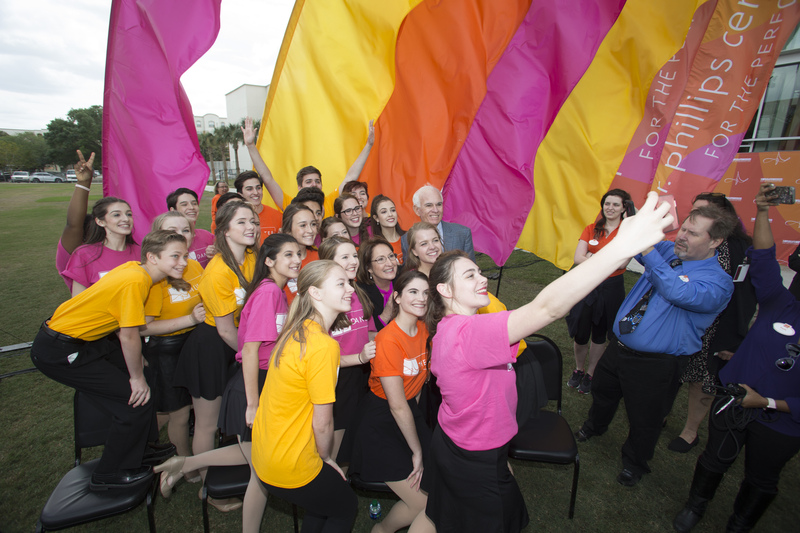 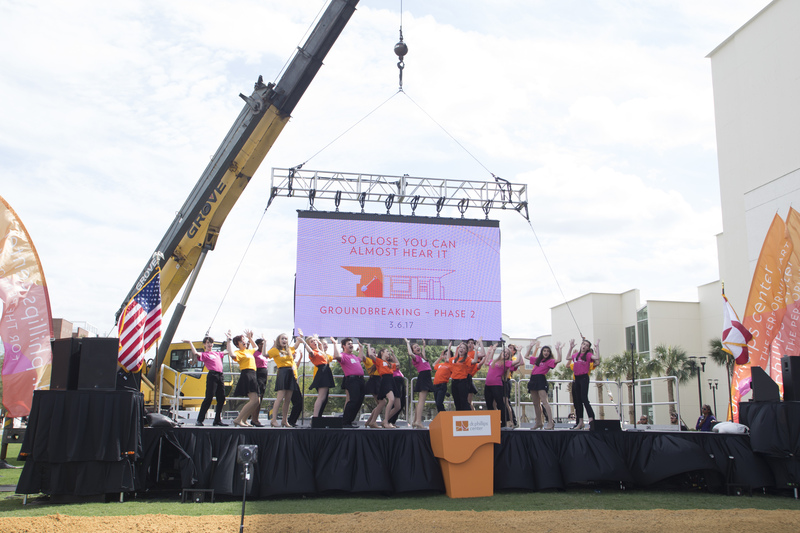 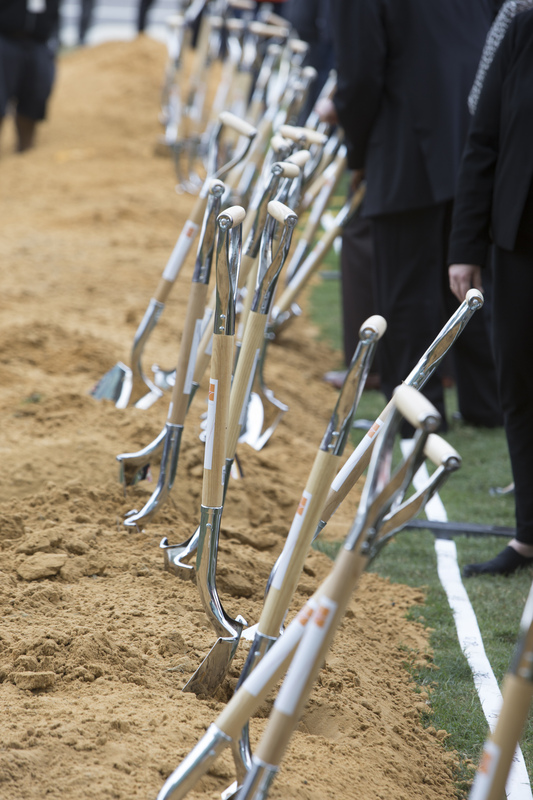 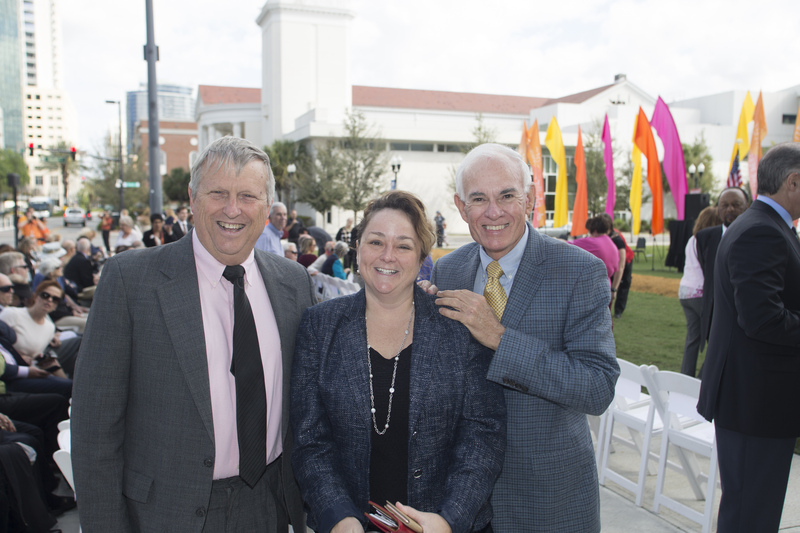 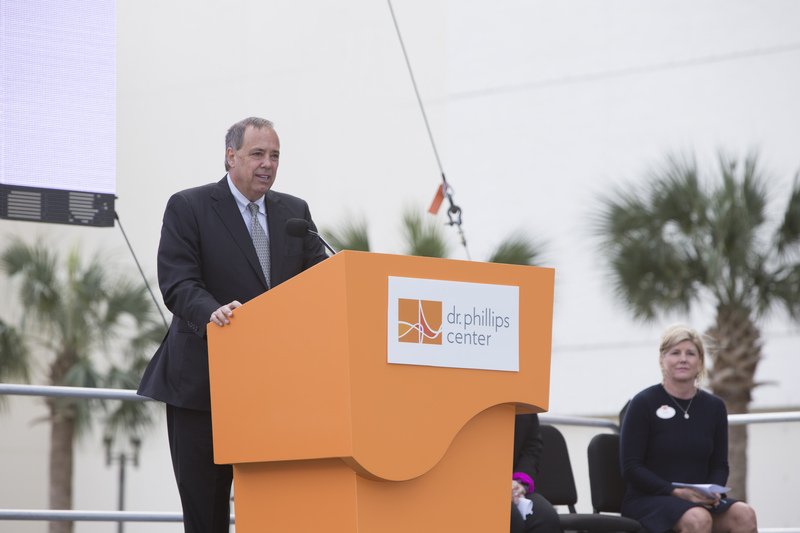 To view photos from the Dr. Phillips Center for the Performing Arts Phase II Groundbreaking, visit Mayor Jacobs’ Flickr album.